Welcome to the second preview of our upcoming shows on HSN May 7th! If you haven’t marked your calendars yet, our show times are 1am, 10am, 4pm and 8pm. Today’s preview is going to knock your socks off because we have 5 brand new items to show you! But first, it’s time to announce our winners. Our Vintage Dad Diecuts are headed to Wendy Fagan, our Perfect Pattern Cards to Celeste Gorman and our Acetate Cards for Him are yours Amy Richards. Debby Abad, you’ve won our Collage Card Toppers for Him, Miriam Danzig, our Concentric Frame Dies and Marelda Chan our For Him Easel Card Making Kit. Our Garden Trellis Jacket Dies have been won by Cindy Haselip, and last but not least Lillie Keeton enjoy our Jacket Sentiment Inserts! Congratulations everyone! Product Preview 2 starts right now! Toile is on every designer runway, and on May 7th, you will be able to add it to your craft room! 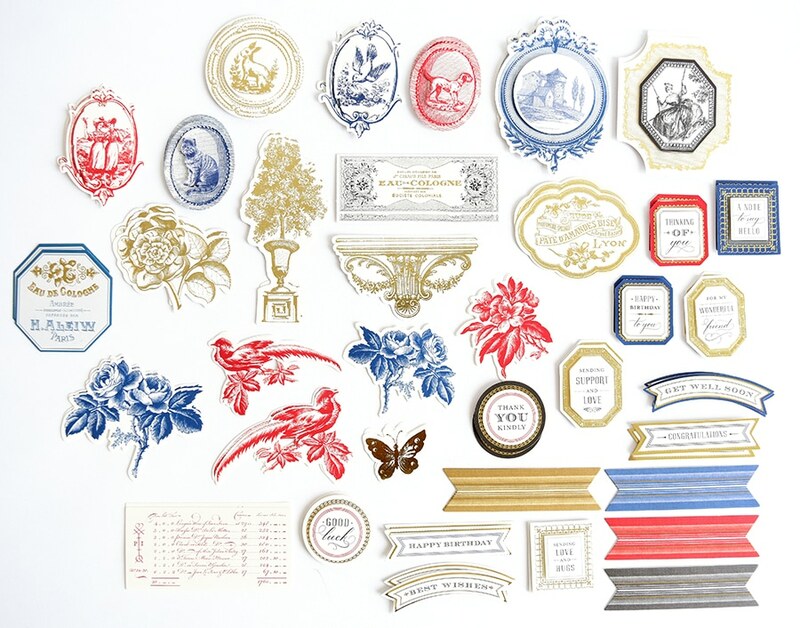 Our Toile Card Stock bundle includes late 18th century prints in traditional blue, red and black. We have included 4 different patterns in all 3 colors (3 sheets of each color) in both 12 x 12 and 5 x 7. 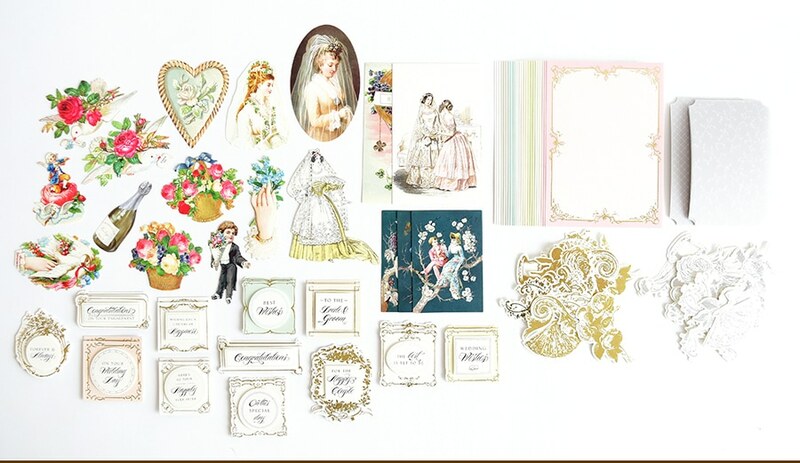 We cannot wait to see what you create with this dreamy set of vintage inspired papers! Because toile is so intricate and lovely, we created just the thing to pair with our pretty papers. Our Toile Embellishment Kit contains 48 embellishments and 24 sentiments that coordinate beautifully with our Toile Papers and so much more! You’ll get lovely French diecuts, layered engraved embellishments, ladies on swings, dogs, bunnies and even golden topiaries. Of course we didn’t forget matching flowers, birds and butterflies. Sentiments include Sending Support and Love, Thank You Kindly, Thinking of You, For My Wonderful Friend and more! When in doubt add a bow! Our Beautiful Bows Cutting Dies make gorgeous, 3 dimensional bows for your cards, scrapbook pages and even presents! These stunning bows add a special touch to all of your paper projects! We created our Double-sided Foil Text Paper to compliment the dies perfectly. 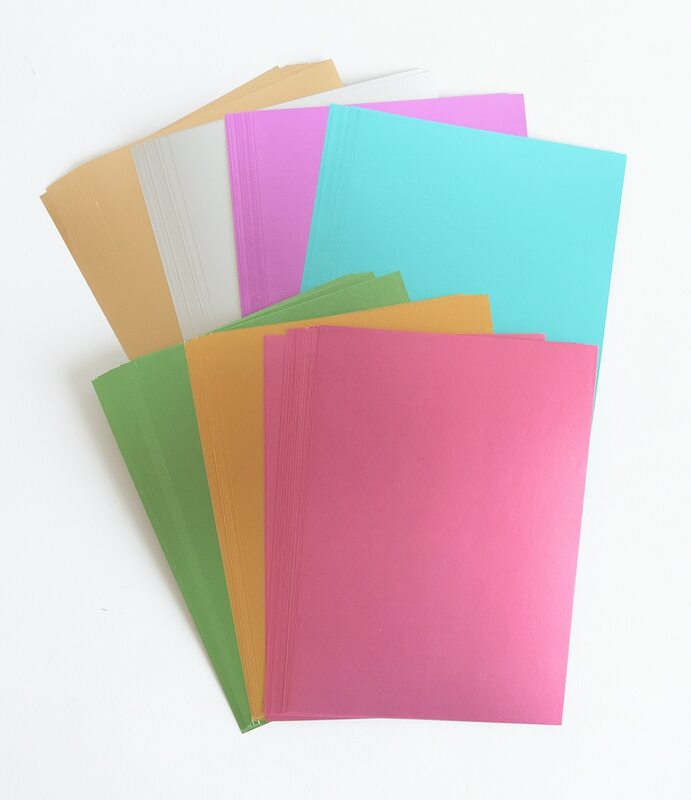 This set of 105 papers includes 15 each of 7 colors. You’ll get pink, gold, green, blue, purple, silver and rose gold. Since these papers are text weight, they are just right for folding and their matte foil shine adds sophistication to your cards and scrapbook pages like no other! Wedding season is almost here, and we are ready for it! 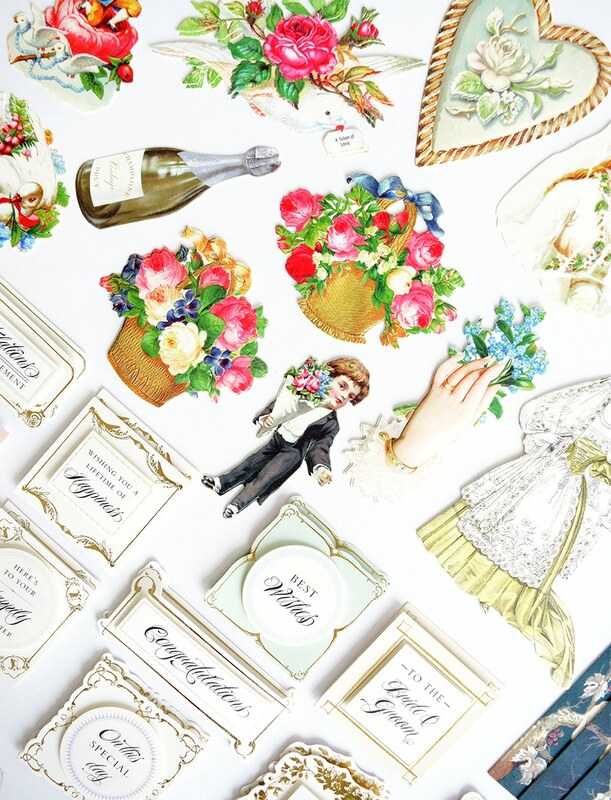 We have a beautiful collection of wedding themed ephemera to create the most gorgeous cards for that special day! Our Wedding Card Toppers Kit includes pastel layers, with gold foil accents, Victorian brides, hot air balloons, and vintage couples. Layer with the 2 patterns of vellum for a delicate look every time! You are going to love the bouquets, forget me nots, doves, ring bearer and more! We have made both silver and gold foil embellishments, and lovely sentiments for the happy couple. Phrases include On This Special Day, Congratulations on Your Engagement, Wedding Wishes, Forever and Always and many more! Our elegant set of Laurel Dies is coming back just in time to pair with all of the masculine elements for Father’s Day and graduation. Included are 7 intricate cut and emboss dies to make ivy and olive branch garlands. Build your own beautiful garden with our set of Mini 3D Flower Dies. You’ll get gorgeous dies that cut all of the pieces you need to layer and create incredible 3D flowers. Can you imagine how lovely you could make your cards, or even a scrapbook page when you fill them with delicate, life-like blooms? We’re thrilled to give all of these items away, so be sure to let us know what you are excited to create with. We will draw winners at random next Monday. To toile or not to toile is the question of the papier that I seek. Such beautiful collections, Anna. Can’t wait for more previews and the May 7th shows. The bow dies and papers are tickling my fancy. Thank you for all your elegant products that make us look like such phenomenal card crafters. The bow dies, text weight paper & 3D flower dies are new goodies I need. Love love love the Toile Cardstock and the Mini 3D flower dies! I absolutely must have the dies and foil paper. Love all of them and love all your products. Such great quality products. The mini 3 d flower dies and the text weight foils would be splendid! Toile! A new and exciting style to have fun and play with! Love the Toile. It has always been one of my favorite patterns in sewing and in paper crafting. Your Toile papers are gorgeous and I love, love, love the Toile Embellishment Kit! I love the new Laurel dies and the Mini 3D flower dies. Besides the gorgeous vintage wedding ephemera, the vellum “veil” over the card layers is what sold me on the Wedding Card Toppers. Plus the big fat folio shows me that it’s packed with “beautiful in the making” goodies that I must have! Many of the die cuts can also be used for anniversaries, too. Way to go, Anna! the toile embellishments are my favorite. it’s just a little thing, but they are so prescious. like little pieces of china. So delicut. I think those toile cards are among the most beautiful I’ve ever seen! I have some Joile paper from years ago that are begging to be used with your new Toile Embellishment Kit, so that’s my # 1 pick this week. I can’t wait to see you on May 7 in your beautiful toile dress! I love all your vintage dies and accessories. I know that I would be able to use this kit for many memorable memories. Soo glad to see the text weight foil papers! In the past it was so hard to find lightweight premium type papers. The colors are beautiful! Might even work well with the Mini 3D Floral Dies which I already have! As an added message. Would it be possible to make the foil papers with one side shiny and the other side matte? It would be like using ribbon for the bow dies. Oh Anna how toile is my favorite thing and have it in my home, sorry have not been commenting lately have had my breast cancer surgery and has been one week at home now. I am up and about now and feeling so hopefull going forward. I cannot wait for the May show so many things I want for my Anna stash, I have been making some easil cards to thank the nurses and doctor’s at the hospital. They won’t let me do much else yet. Hope you have a wonderful Easter weekend with your family. Would like to have the Toile embellishments kit and paper! Wow. I love it ALL. Love the new toile papers and the embellishments that coordinate with them. They are all TOTALLY GORGEOUS!!! Love the text weight foil papers as well. The wedding card toppers are beautiful. I always love all of your die sets. They are so elegant and classy. Love that you brought back the Laurel Dies and the mini 3D flower dies. Love the bow dies also. Thanks for the opportunity to win such gorgeous items. Anna, you out did yourself as always! Love all the beautiful things you bring. Amazing preview! Love all the products Anna and cannot wait to start crafting with the Double-sided Foil Text Paper. The colors are just gorgeous!!! I need the bow cutting dies and the paper set in my life!!! Love all the new things coming out. Really looking forwards to the new foil double sided paper (hope there will be seasonable ones – falls & Christmas). I really need more wedding toppers and ideas this new set will be perfect. With the sadness from Paris this week with the Notre Dame fire, the new toile papers and embellishment kits will keep the Paris nostalgia memories. And of course love all the previous items (already own them), you’ve shown a few more ways to use them. Thanks Anna! The toile papers are lovely. So many possibilities! I love the bow die and those beautiful wedding toppers. Looking forward to seeing you on May 7th. I absolutely love love the Elegant Set of Laurel Dies. They are so gorgeous. They are exactly what my cards are looking for. Anna, I LOVE your products. I minded in art and have been MAKING CARDS FOR ABOU 25 YEARS. I feel I reached my full potential hen I found you and your products. You have made me a much better artist. My favorite are the cut and emboss dies. I am so glad the Laurel Dies are back, They go so well with everything! Love your bow dies, and the double-sided paper is the best. The toile paper and embellishments are my absolute favorite!!! Love, love, love the bows and as always the flowers. I have many dies for both but I look forward to making smaller 3-D flowers for my cards and scrapbook pages. I hang my scrapbook pages on the wall for a while to show off before putting them in the scrapbook. The grands and great-grands love to look at themselves on the pages. I’ve always loved the Victorian themes. I have many that I have saved through the years, scenes, bicycles – bicycle-built-for-twos, and lace-up shoes and wonderful hats. Love your style. My favorite product this week is the Beautiful Bows Cutting Die Set. Will you please ask the Easter Bunny to bring them to my house? They would make a lovely addition to my crafty stash! Oh no I need the Wedding Topper kit ASAP my baby brother is getting married in 9 Days !!!!! I love it ,, it will make a beautiful card!!! Everything is so pretty!!! But I just love the colors of the double-sided foil text paper. So many ideas & uses come to mind. Thanks for all of the wonderful products. There is nothing Annna Griffin that I don’t want! I now think I am tied between the text weight papers and the bow dies! After seeing the bows coordinated on cards, I see even more potential! Love it all! Especially the beautiful papers and embellishments! I have the laurel dies and Flower dies but would love to win the beautiful papers and embellishments!! Fingers crossed!! Double sided foil paper and the bow dies are my favorite. Would make a great addition to my collection of dies. I am so excited about the Toile paper and embellishments. The bow dies and text weight paper are exciting too. Excitement for all items. Thank you for sharing your talents. Those wedding toppers are beautiful. I love to make my own 3D flowers. It would be so exciting to win the mini 3D flower dies. My 12 year old granddaughter is just starting to make cards with me. Such eager creative learners at that age. I would be so delighted to win the Laurel Die set!!!! Thank you for bringing more beauty into the world. I also adore the Wedding Card Toppers. The rich colors in the Toile really make beautiful cards. Great idea! The wedding toppers are Excellent. They’ll make a great addition to my collection. Thank you! Oh, I love the Toile embellishments, and the new bow die set best! Happy, happy Springtime, everybody! Hard to pick a favorite (they are all so beautiful), but if I must if have to choose the wedding card toppers kit. So unique! Omg toile my first bedroom was red toile (my fathers dressing room) I inherited can remember going to sleep seeing these scenes. I need this, love the wedding card set too. See you soon for more treasures. You can never have too much paper! I love the double-sided text weight paper for folding into bows. The bows and matching paper are an absolute must have. I love bows but am terrible at tying good ones. Your dies are the perfect answer. Once again Anna solves a crafting problem I have. I have always loved toile. I would love to see some Griffinized toile stamp and die sets. Wow, this preview has such amazing products. Love the Toile papers, the bow dies and papers (to die for) and the wedding papers and toppers! Heck, I love them all. Love everything, but got my eye on those ribbon dies. Love the elegant Laurel dies. I struggle making cards for my male family members. These would be so perfect! Wow. As always you bring us the most incredible product. Love the paper, the flower die set and the wedding sayings. Beautiful. Love Love Love anything Toile! Those papers are absolutely gorgeous. Can’t wait to see the HSN presentation. I covet the Laurel Dies. All are truly lovely. Thank you for the opportunity to dream of winning something. I watch your videos because it brings me the happiness I feel when I creating things with your products just to see you. Anna Griffin, you are a special person! Love that Toile paper. It’s just beautiful! Love the beautiful Toile paper & the embellishments! They are a must have for me. Toile…Toile…Toile! I love toile! I love it in my home decor, fabric, mural painting and now I get to love it in your paper! I guess I’ll have to order the embellishment toppers to go with it too. So glad your friend told you to make that new Bow Die set and love the papers you made to go with it too. All of these items will be in my HSN shopping cart. I would like to say that I wish you would have made the 36 sheet paper packs in one color. I would be wanting an entire 36 piece set in Blue and in Red separately. I love the toilet in light pink, yellow and hunters green also…..maybe for the future? I use blue toilet in my main living room and the red in one of my guest rooms. I can already think of various projects to make with that blue and red already. I’ll probably use the black for card making. Can’t wait to get it! I haven’t been this excited since your plaid Xmas papers! Thank you for bringing on the Toile! 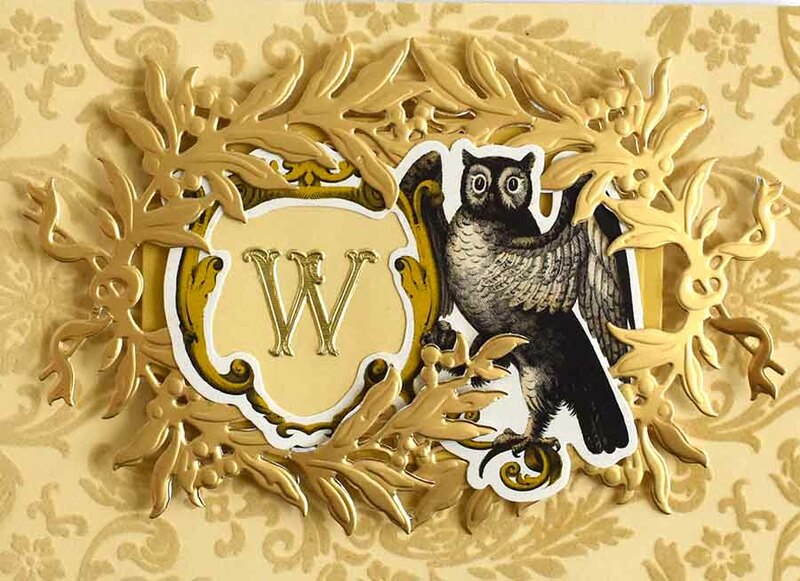 more awesome papers, dies, embellishments and cards. so excited. thanks Anna. Love the new foil double sided text weight paper. I’m very excited about the bow dies—and the paper that is included! The wedding pieces are so amazingly sweet Who wouldn’t want to receive one of these dainty cards. I can feel my tears beginning to roll, anyone have a tissue? So many pretty new things! I love the Toile paper and embellishments. I have hoarded the toile paper that I got from you several years ago and this set looks just as beautiful! I also love the double sided foil text papers—I love everything foil and here you get seven colors! The bridal toppers are great too! All these wonderful products are to DIE for…see what I did there? 😉 I love the new Beautiful Bow Dies. I can’t wait to try them out. I am salivating over the double-sided foil papers. I have a different set of Anna’s bow dies, but they just don’t look right when one side of the paper is white. This will make me use those dies more. I love the new Wedding Card Toppers. I can’t wait to start making wedding cards. Yea, Anna for another incredible preview. I don’t know how you do it, but I am glad that you do. Wow, I thought I posted, but not showing! It is so hard to choose a favorite Anna this week! I love the bow dies and text weight foil papers. Such beautiful colors! I would also love to own your Laurel dies or Mini- flower dies! Thank- you for everything you share with us. Your creativity is amazing! Wishing you the happiest Easter Day! Ok! I’m loving the beautiful bow dies and the double sided, text weighted paper for making the bows! It’s quintessential to have both! Love all that you bring to HSN! Thanks Anna! I fell in love with the toile papers and the embellishments, these will most certainly add to my card ministry at my church for our Senoir citizens. These are so bright and cheery and will make anyone feel better, Also us Senoirs know what Toile pattern s are because of our ages and I for one am very happy you are introducing it to our younger crafters. 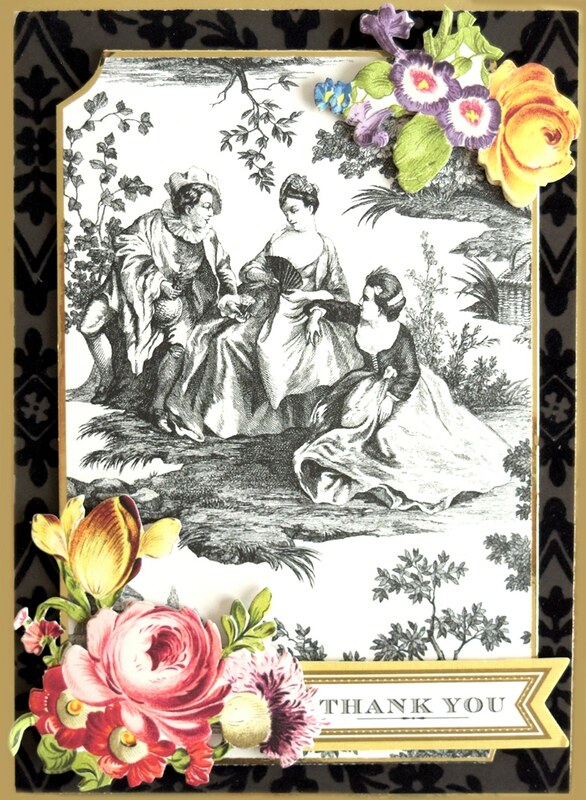 Can’t hardly wait until I can craft so beautiful cards frome this Toile collection. Everything in this preview is fantastic. Thanks Anna. The bow dies and paper are great. The toile paper and diecuts are so beautiful. The wedding toppers are exquisite. How could anyone choose just one? I want it all!!!!!! Thank you Anna and team for all the great products! Will be watching on the 7th! I love the Toile paper and embellishment kit, the double-sided foil text paper and the 3D flower dies. Great for many projects! I really love the beautiful bow. Urging dies…. I really like the bow dies, the double sided foil paper and the flower dies. Can’t wait. I love the Mini 3D Flower Dies and the foil paper!!! The toile prints and the new dies are all so beautiful! I just love the toile paper and embellishments. I would love to win either one if these. I can’t wait until May 7th as already making a list. Your products are all wonderful and great to work with. Thank you Anna. I love the 2 Toile products. I love everything toile, and as a lifelong Francophile, I have lots of toile fabric in my home from a duvet cover, pillow shams, a French screen, flower vase, to loads of other things I have collected over the years. I would love to win either toile item. Can’t wait to see you on HSN! I would love to add them to cards and other projects, oh, and to my collection!! I just love all your dies! Those new little bows are adorable and just love the Laurel dies! Since I already bought the mini 3d flowers dies, I am excited to use the double sided foil text papers with the flower dies. Maybe Anna can have some mini 3D flower examples made up with the double sided foil text papers. I want it all! Such beautiful things Miss Anna! I cannot wait for May 7th! Oh, Anna-you are killing me & my budget! I love toiles! I have always loved toile fabrics and I’m sure your papers are going to be every bit as beautiful! Everything thing you do is beautiful and elegant. I, too, dislike seeing the white side of the bows that I create with your bow dies. So my favorite is the double -sided Foil test papers. I love the bow cutting plates and the foil paper. Super excited to create fabulous card toppers with the new bow dies and double-sided foil text paper in those gorgeous colors! Thank you, Anna! Oh, I just love the flower dies and the new text weight shiny paper! These would both make my cards even more delicious! I love the laurel dies. They would look great in my craft room! I am so excited about the bow dies and the double sided foil text paper. There is a wedding in the future and I see great uses for these. Anna love your new Toil products and the Bow dies set. As a caregiver for husband with Demetria your cards make it so relaxing and easy to put together while sitting with him. My go to thing to do on a stressful day! Thank you for all your beautiful products. Dies, Dies, Dies! Love all the dies you featured in today’s preview. Happy to add any and all to my collection of your wonderful dies. 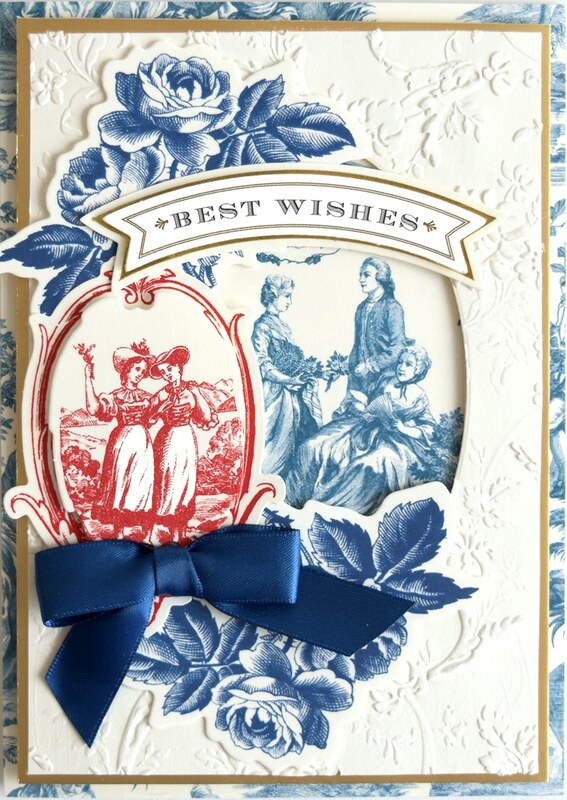 The Toile Embellishment Kit and the corresponding Card Stock are exquisite! Wonderful products! Love the Laurel dies. I can think of so many projects I want to use them for. Anna, it is so hard to choose a favorite this week! I love the bow dies and double sided text weight foil shiny papers. Such beautiful colors! 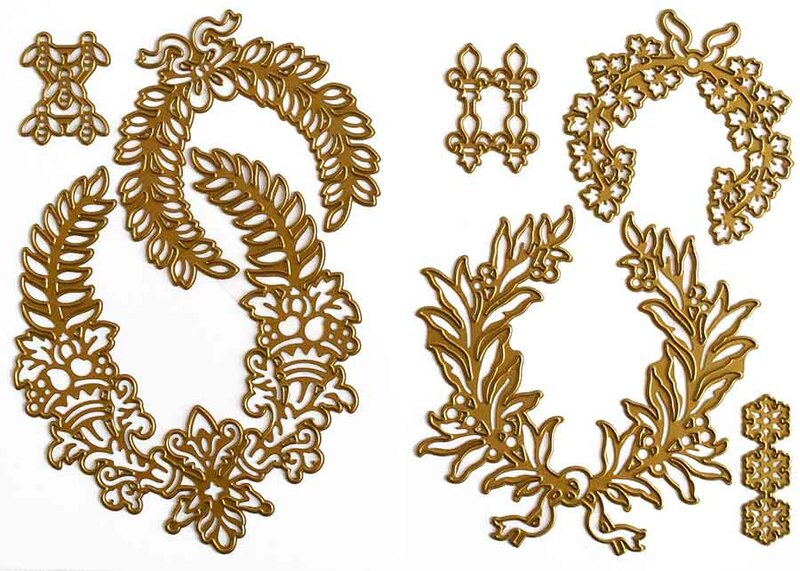 I also would love to own the Laurel wreath die set or the mini flowers. They are all so beautiful! Thanks for all that you share with us. Your creativity is amazing! Enjoy a wonderful Easter!! The toile paper is beautiful and will make a great addition to all scrappers. I love the bow dies and foil text paper!! Ready for May 7th! Beautiful, beautiful traditional line. Truly like no other. . Your Beautiful Bow Dies are gorgeous and so useful. The Double-sided Foil Text Paper that works with them is beautiful. I’m going to need to rename my crafting nook, The Anna Corner. The mini flower dies are stunning. I can’t wait to order them. Every time there is a craft day I swear I will not order another thing. And then Anna, you come along with another spectacular item. Oh well, it’s only money! Wow! Absolutely love those new bows dies! I foresee so many uses on both my cards and scrapbook pages! Wow! I love all of it. It’s a tie between the Toile Embellishment kit and the Wedding Topper Kit! I want them all! Everything is so beautiful but the wedding collection speaks to me. Thank you for all the beautiful new things. LOOOVE the toile papers. will def be ordering. Love the new boy die and that gorgeous paper! So springy! Bow dies will be a great addition to my collection of your wonderful dies. Would love to Would LOVE to win the Bow dies!! They would make a nice addition to my collection of your awesome dies. My calendar is marked for your upcoming airing on HSN. Thanks for creating beautiful well made products. Love all that I have purchased. I Love the bow dies and the paper is amazing! I think they will add just the right touch on my cards and scrapbook pages. I would choose to receive the Beautiful Bow Cutting Dies for my very own. Bows add such a nice touch to any paper project and this set make bows that look a little bit different the ones I have seen. I love the Toile papers and the foil papers…just gorgeous colors. Thanks for bringing back favorites. I hope the Ornament dies from last Christmas come back…I ordered them, but they didn’t get packed in the shipment, then were sold out. Can’t wait for the May 7th show. I do love the bow dies. Well actually I would love them all!!! Love the bow dies. I also love the mini floral dies. Fabulous! THIS is a tough choice……the mini 3D floral dies is the winner this time. It seems to make the most amazing floral embellishments for your project. Would LOVE to win this one. I love the toile papers! They remind me of my childhood. Once a week our family ate out at a neighborhood restaurant that had toile wallpaper. I would get lost in those beautiful scenes as I ate my dinner Sweet memories. The foil papers are also very beautiful. Great job. The beautiful mini 3d flower dies! Oh so lovely. I love the Laurel Dies. Both masculine & femine and can be elegant but I think I might try to use them also with a whimsical theme. I have the laurel dies and the mini 3D flower dies and really love them. The wedding embellishments are simply elegant and would be lovely in a wedding scrapbook album. Anna, all your craft items are on my wish list but I simply have to have the bow dies and the double sided foil paper to go with it. Thank you sto much and I can’t walt for May 7th! kit to my list of craft items’!! It was so hard to pick between the bow dies and the lovely paper, and the mini flower dies, but I’ve been wanting the mini flower dies for quite some time, so I would be thrilled if I were lucky enough to win the flower dies! picture birthday cards, wedding, mother’s day and even sympathy cards that would be so beautiful in the making. It would be fun to win but it will have to appear in my shopping cart on May 7th for sure. I’m looking forward to seeing you on HSN on May 7! Thanks so much for all of your fantastic products. So many lovely items! 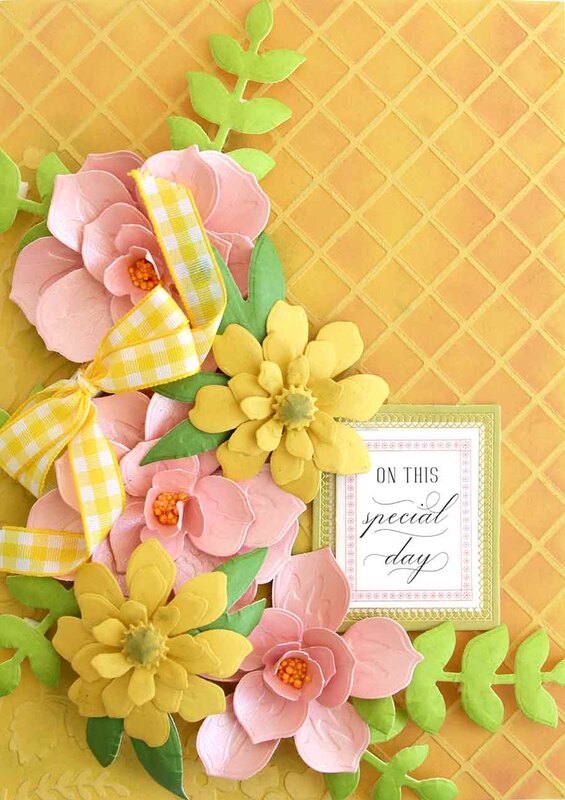 The layered flower dies would be fun to try – the color possibilities are inspiring. Also, bows made with the bow dies would add very elegant touches. Thanks for continuing to inspire! The Toile embellishment kit is wonderful-so different. Hurry and get here May 7th. 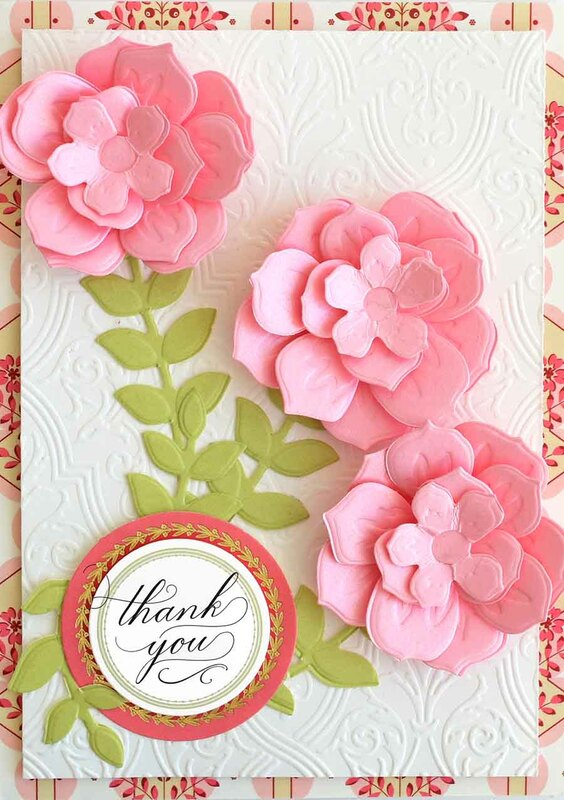 I would love the flower die cuts – I am always embellishing my cards and my scrapbooking pages with flowers. This is so exciting! I’ve been lost, for many months I’ve tried to find out how to leave you a comment. There’s no comment section on your you tube videos and I’ve tried to correct it in settings with no luck. I lost out on so many giveaways because I couldn’t find you. When you mentioned this site I searched for it and here I am. This is my first time doing any thing like this, I don’t have any type of social media that I interact with. That being said, I would love to tell you how lousy I am at making bows and would love the assistance of your beautiful bow and paper die set. It took a lot for me to ask but I can no longer purchase any more craft memorabilia until my card is paid down. I’m on the worse kind of diet especially when I have an addiction. Nonetheless, I going to try my hand at that beautiful basket. I have everything I need to do it, ideas, ideas yum! Thank you so much for being. Blessed be. There are several beautiful items that I would like to comment on. First are all things toile! I am so excited to be able to acquire the beautiful toile paper pack and kit. The toile images are fabulous and I would use these items for both card-making and scrapbooking. I would also love to be able to use the Beautiful Bow dies as well as the Mini Flower dies. Both can be used in endless ways to embellish a multitude of craft items. I love them all! I really like the Toile Paper Set and the Toile Card Embellishment Kit, they compliment each other very well. When I was young, I remember my Aunt having a set of dishes with a red Toile pattern. I am a senior citizen now and I still remember how pretty those dishes were! Hi Anna, Everything is so nice. I really like the foil paper, bow and flower dies. Also the toile paper. It is so hard to choose one over the others. I love the Bow cutting dies. They would be a great addition to my dies. The bow dies and two-sided paper is a forever necessity! I missed getting those laurel dies before, but won’t this time. All are so beautiful and can’t wait till May 7th. My favorite is the wedding set. I will be ordering 5 of the six shown .how you come up with all these ideals and pass them to us is amazing. I love the wedding set. Your sets with the vintage looks are so special. I enjoy making and giving your cards to friends and family. The look of your cards people know you took time to make something special for them. So glad I found you. Thank you. I love the collection. My first choice is the Beautiful Bows Dies, then the corresponding paper and finally the mini 3D Flower Dies. I love the 3 dimensional flower and the bow dies. Often when I sit here , and can’t think of an idea, it’s so much fun looking at your cards, Oh, I didn’t think of that. Thank you for the ideas. Please, I am a worthy winner of Toile! When I was a little girl, my Mother would tell me stories holding onto a piece of rose pink Toile! Oh the adventures we would have assigning character names, places, and the stories they would tell! Mom would make me fall in love with sweet things like flowers, French Toile, English Blue Willow, Flow Blue pottery, Polished cinch fabric, black watch wool, and damask patterns! No wonder I an such a big fan of yours! I have so enjoyed your plaids this past few months, both the Christmas Holiday collection and the spring plaids! I would love, love, Love to win the Toile paper and coordinating embellishments! Oh gosh, just so beautiful! 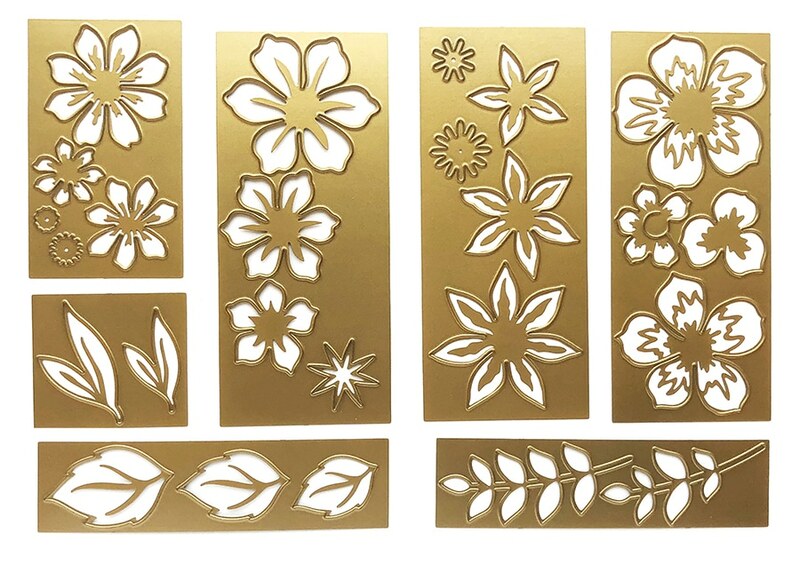 Oooh, I love all the new dies, especially the laurel and flower designs! These projects are making me feel like a spring day! Well, gee….you make it impossible to pick just one!!! LOL!!! Each one you showed became a favorite. I do love the Toile papers and set. So elegant. However, with all the weddings I have coming up this year, the wedding set really hit home! And then the Laurel dies would be fun to create so many different things, too! My head is spinning! LOL!! So, I have it narrowed down to those. 🙂 I guess the winner for me is finally the Toile products…closely followed by the Laurel dies! As usual many beautiful items coming out but I can’t wait for the 3 D Flower Dies. I have been wanting something like this for awhile and now you have it. It is as if you read my mind. Thank you for all the beauty you bring in our lives. Most excited about the bow dies. I have your other bow dies and these seem more petite. Perfect for my mini flowers. I still have flexi pays from March and owed Uncle Sam this year so I can only dream and drool. Looks like I could use the wedding toppers to make anniversary cards also. I love my mini flower die cuts. I curl the flower pedals around my pencil to give more diffinition to the pedals Anxious to see how the double foil card stock is used. The colors are beautiful. Please will you bring the Toile sets to QVC U.K.
Really love the bow dies. The bows in the kits are so beautiful and now I will be able to make more with these dies. I am totally in love with “Penny’s” Beautiful Bows Die Cutting Set & the Double-sided Foil Text Papers! All the pretty colors. I love it all & you all seem to think of it all! To make the foil paper double-sided is just genius! No white bottoms showing. Love, love, love the Toile paper! I have always loved toile and this is fantastic. Also will be getting the embellishments. So glad to see the returning favorites. Both of these I drool over. My oh my, you have so many beautiful things for us. Thank you. Anna, love the Beautiful Bow dies and the double-sided foil text weight papers. I know they will go very well with my card making as the colors are “Anna Griffin’s”. Pretty much all the papers and embellishments I use are from your stock. Love your quality and thank you for the chance to win! OMG OMG Dear Miss Anna – I believe you have outdid your self again. Toile Heaven !!! This is truly crafting treasures. I would like to win the Tolie SET!!! The toile card stock, the Toile embellishements : ) Are we getting Toile folders in the future? Thank you. Between the paper and embellishments I will take the card stock and maybe just frame it on my wall. Thank you for this. Best wishes. Every item on this page is filled with wonder and scads of inspirations. Love the toile paper and embellishments. I think of Paris and am heart broken to see Norte Dame on fire. My heart goes out to all Parisians and the world. Maybe a line of iconic Paris sites might be a thought to add to the toile papers. Just a thought. This is the most gorgeous card stock in both sizes. As always, everything is beautiful. I personally love the ribbon dies and the 3-D flower dies best. Isn’t it odd what appeals to each of us? Keep on creating Miss Anna. Hi Anna! Another great preview of wonderful new goodies from Anna Griffin. I am most excited about the new text weight foil papers. I think they will work beautifully with so many of your dies. Toile! Huge fan and glad to see it coming back Anna-style. I’ll be making many paper items for my new job where I work with Seniors and can’t wait to gauge their reaction to the cards and notes I will be making. Love the wedding set & new floral dies. The Beautiful Bows Dies will be a great help in my card making! I can hardly wait! Love, Love the mini 3d flowers, also the bows. as usual everything is awesome. Wow…May 7th is on its way. It will be here in no time.. time to start saving. The wedding card toppers are what I’m excited for. Just in time for summer and spring weddings. They will make excellent scrapbook pages or beautiful wedding cards. I love the bow dies. They are a must have. Hi Anna! I really like everything that you are bringing to us on May 7th, I have your empress and your Cricut maker and the cards that I make for my friends and family they just love them. Again thanks so much for what you bring to me and everyone else, please continue to design your beautiful cards. Love the dies but I especially love the new Toile paper and embellishments. Oh Anna, you have really gone over the top! They are all so beautiful. My must have is the double sided foil paper. My next fav are the mini die cut flowers. Oh, I just LOVE, LOVE, LOVE your wedding set, Anna. Looking forward to working with that. My favorites are the wedding card toppers & laurel dies. I also love the mini flower dies. I absolutely love the metallic papers and the “bow dies. They will be so versatile with most projects. Cards and scrapbook pages will really come alive! Anna and staff you always think about us as you design your products. I love the Beautiful Bows Cutting Dies! I cannot master bows in general but with this die set I know my cards will become even more beautiful! I am very happy to see the coordinating Double Sided Foil Text Paper to accompany those dies. So either product would make me a happy crafter!! See you on the 7th. Getting invitations ready to celebrate our 50th wedding anniversary so anything in this preview would be great! My favorite are the mini 3D flower dies. The example you made is the exact shade of pink in my wedding 50 years ago!! Nothing like a good toile to punch up your creative juices!!!! Beautiful Anna! Scrapbooking with the Toile Card Stock and Embellishments would be so much fun! Your bow dies would work well with the Toile Card Stock. I am all about scrapbooking and this is an amazing opportunity to create something beautiful. Hi Anna, I love everything you make. The wedding card toppers are great, the bow and mini flowers dies are awesome. Thank you for everything, it makes cardmaking so much easier. Love the bow dies. Really like the double bows—and so easy! Can’t wait til May. Beautiful everything!!! But I have always been totally MAD for toile!!! Several of your paper kits in the past included toile….the gorgeous oriental one in pinks, greens, turquoise with pagodas, etc….Chinoiserie…. and then the more traditional colors of Jolie. And other papers, too. All gorgeous. The embellishments to go with are outstanding.. thank you once again. Everything is beautiful and elegant like always. I would love to win anything but especially the Laurel Dies or the Bow Making Dies. Thanks Anna for all that you do. I would love to win ANY one of these items! I was hoping you would design Toile paper; and I am so happy you are bringing it to us!. Thank you for bringing back the Laurel die set. I was one of your fans that waited too long to order the set and was disappointed that it was not available on your website or HSN. I was trying to space out my purchases and did not realize I wanted it for some cards I made for my brothers. I used the mini 3D flower die set for some of my Valentine cards and they are lovely. Thank YOU for all your beautiful designs and creations. My Anna collection continues to grow! Wishing you a beautiful Easter and happy Spring! Absolutely beautiful papers love all of it. Can’t wait to try the build your own flowers. Would love to win them. HARD TO CHOOSE A FAVORITE. I CERTAINLY NEED THE FOIL TEXT WEIGHT PAPER FOR MY CRICUT BOWS CARTRIDGE. I LOVE THE TOILE EMBELLISHMENTS. THANKS ANNA. I have been looking for 3D flowers and double sided foil papers without much luck. These foil papers look fascinating. You are such an artist! I want the bow tie dies too! I could add such a finale touch to my cards. I hope my name is drawn! Happy crafting Anna! Love the garden dies for the mini flowers! They’re gorgeous!!! I WANT TO WIN THE DIES, THE FLOWERS OR THE LAUREL. I love them. I also have to tell you I have toile drapes in my dining room, I believe they are vintage as I got them at a second hand store and they are gorgeous!!! Love it all Anna!! I love all the die cuts and the papers that you made for the bows too. I’m just getting back in to making cards again. Thank you for showing all the things that I never saw before. Enjoy your day, new comer, Mary E Apsey Simth. Love all the new products you are bringing to us, but especially the toile and the wedding items! Beautiful, as always! Love the double sided paper for 3D bows and the flower leaf dies. Anna,love the twall, have a few sheet from the past. Can’t wait for you bow ,will be a dressing to my treasure of card. I like the ideas you show…a Can’t wait to do for myself. Would have it all by Anna monthly. Have to set limits. The wedding set is breathtaking! My HSN card is feeling hot in my hand already! I am excited about every single item in this preview! I would love to craft with it all! Thanks for all the new inspirations. 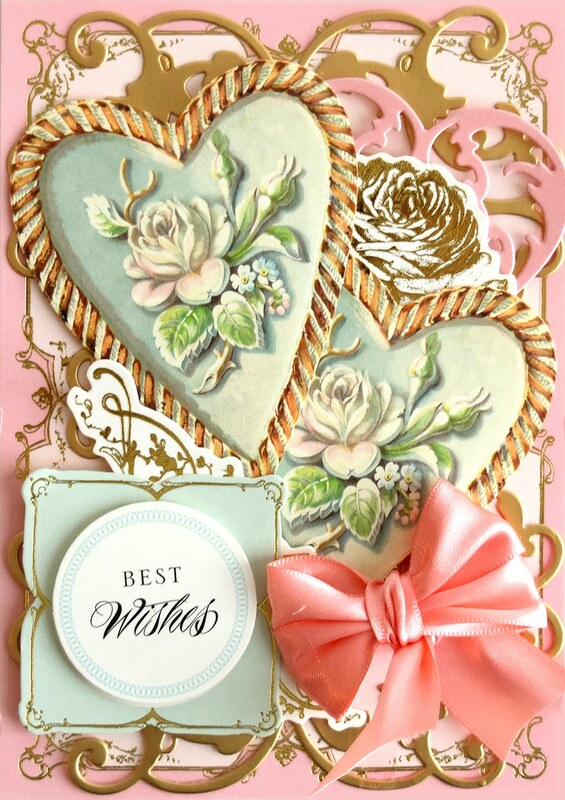 Love the bow and layered flower dies. These would add so much to any card! I sure do love the text paper for the bows. They have been needed for a long time. Way to go Anna! So many new beautiful items. My wish list would be everything. However, I do like the 3D Flower Die Cuts, Laurel Dies and the 3 sided foil paper. Love the new text foil paper and the 3d flower dies. I just have to have the Beautiful Bow Dies and the Foil Text paper. It is great that you take ideas from everyone. The quality of your dies is amazing. I could go on and on about the quality of your products. They are the top of the line. Thank you for all that you bring to us. And I love the idea of bringing back items to give others the opportunity to be able to purchase them. I love it all, and can’t wait but I really really love the foil papers. Can’t wait for May 7th!! Thank you and keep the beauty coming…. I am left handed because of damage to the right hand during surgery. Your finished bows and wreaths are a few things I would enjoy because they are finished. I have 5 grandchildren who will need beautiful cards this summer. I hope you pick me . Have always been a fan of toile and so excited to see it translated into my favorite pastime – paper crafting!! I love the Mini 3D Flower Dies. They make a lovely and delicate paper bouquet. Just love the toile papers they look so rich and the embellishments are perfect. Now so many great things. Those bow dies are awesome!!! I am def putting them on my wish list!! I am most excited about the double sided foil text weight paper! They are such beautiful colors and will make the most gorgeous bows. I am crazy about the toile – paper, embellishments, all of it. Gorgeous! I used a lot of toile fabrics when decorating my home. I absolutely love it! I can’t wait to see how many gorgeous projects I can do. Anxious to try the two sets of papers. I envision so many pretty things to come from these. Love love love Toile always have even as a little girl, I am so happy to see it. Please the toile paper pack. I love the toile! The first kit I bought from you I believe was called French Toile-from that other shopping channel! Love the Double sides Foil Text paper! I love the text weight foil papers! You made an assortment and I would be thrilled to get all those different colors in one package!! Love everything else, too, but I’m definitely ordering the foil and bow dies if I don’t win them. Hi Anna, all of the May items are so pretty but I am particularly enamored with the lighter weight Double sided Foil text paper. I have many of your wonderful bow dies but the lighter weight paper should be the “cats meow” with this paper. Waiting for May 7. The Toile Papers and embellishments are just absolutely brilliant! I cannot wait to work with them. Your creativity just amazes me time and again. I would like to thank you for selecting me as one of the winners for the vintage dad toppers. Is the first thing I’ve ever one in my life! It really shocked me! I’m not sure how you find my address or how to contact you. You have so many great things to offer this spring we are just all excited about it🌷Again Thank you! The papers and the Laurel dies look beautiful! I can see many uses for both. Thank you for bringing these to my attention (lol). Happy crafting! Love the toile papers and embellishments. They will make the most wonderful scrapbook pages. The colors are complementary and versatile. Love the samples as it helps to get kickstarted in my projects. Glad to see laurel dies back. Flower dies are great too for making your own embellishments. New text weight papers will be a great add for rosette dies and fan dies. Thank you for bringing back the mini 3D flower dies. Those will be on my list on the 7th. Well, this week is a BONANZA!! As always, everything is wonderful, but I LOVE the toile items and the flower dies best of all! Thank you, Anna! Those toile papers are gorgeous!! I am fairly new at card making and on a limited budget. I would love to receive any of your items. Your designs are beautiful and can be arranged to be so meaningful to the recipient of the cards. Thank you for giving me the opportunity to start to make your beautiful cards. I would be happy to have your toile card stock bundle, toile embellishments kit, so pretty,the double sided foil kit has such beautiful colors, wedding card toppers kit would come in handy, everything is just beautiful.. everything you have is just beautiful. I just love Toile! I will certainly be buying some of those papers. The card samples were just beautiful. You have such talented people behind you Anna. The flower die cuts ate just as you said, so realistic. They are fantastic. I would love to win those. I simply would buy one of each item but now I am not being realistic. You make it so hard to choose with so many beautiful products coming out. I look forward to seeing more when you arrive on craft day. See you then. Love Bow Dies they are absolutely great for all kinds of projects. I like that you have the foil paper to make a BIGGER STATEMENT on our projects. I absolutely love the bow and flower die sets! They are a have to have, for sure. So many ways to use them. I love the toile paper and embellishments, so pretty and elegant. Love the old fashioned prints in this group. Of course the typical flower designs are always beautiful. You can never have too many bows! Love the dies! I absolutely love everyone of these kits! I’d be honored to win anyone of them! I love all your kits, papers, dies,”empress”! Etc. I have about 3/4 of everything you’ve designed. Thank you so much! I’m most excited about the beautiful bows cutting dies and the foil text paper. I’ll get so much use out of both of them. Thanks for the wonderful tools you bring us! First I must say how much I love it all. I am especially loving the bow dies. The paper that works with it looks so beautiful and I can’t wait to start to use it. Thanks so very much!! 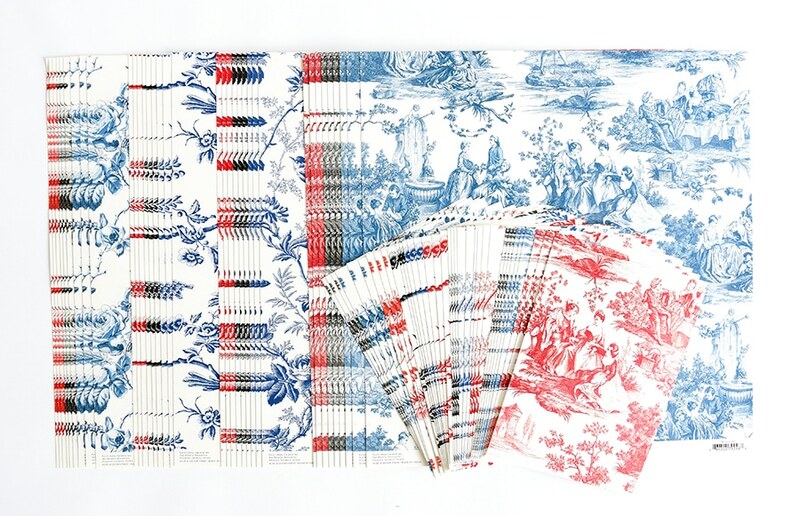 The Toile papers are so beautiful, love the designs and colors! These would look so nice for either scrapbooking pages or for cards. I have both die sets and the foil papers would be wonderful to use with them. What a beautiful array of products! Hard for to choose this time! I would choose the Foil Text weight Paper & the “Penny” bow dies! I am in love with the toile papers. I have always loved toile. I even have some toile fabric at home. I also love the beautiful bows dies. They would be great for everything. Cards, scrapbooking and gifts. Thanks for the win! Mini 3D flower dies..but love everything coming out May 7th. I can’t wait to get the bow dies THANK YOU,THANK YOU ANNA.I have wanted to get this kind of bow maker forever. Love the Toile paper and embellishments, but to be truthful I love it all! My favorite would be the mini 3D flower dies. YOU HAD ME AT TOILE! Wow, Wow, Wow! I love the Toile papers and emblishments! So elegant and exciting for scrapbooking! Love the Bow Dies and the Foiled Text Weight Papers!!!!! Thank you for including purple!!! I would be ever so happy with the text weight foil papers and the new bow dies! It’s all so beautifully stunning Anna! I love the toile sets, and those gorgeous bows and papers, and all the other amazing sets too, but I am most excited about those flower dies! They’re the perfect size and oh so pretty! I really need those because I checked my stash and shockingly I don’t have any flower dies! I don’t know how that could be so because I really love to put flowers on my cards! Oh no, I’m going to have to remedy this situation right away! I just love the Toile set. So glad you finally did it. It is so you. I love the bow dies and text foil papers. I love everything you do. I love the wedding toppers kit. You have found some absolutely gorgeous pieces to include in set. I love the vintage look to all the pieces. All of your products are amazing but I really want the wedding toppers.Thank you for sharing. It is all gorgeous! But I must have the toile paper!!! Everything is great. My favorite item is the mini 3D flower dies. I adore toile! Yay!! I have a traditional blue and white toile bedroom and some Christmas red and white toile wrapping paper (hint, hint) that I use sparingly because it is SO beautiful. The toile embellishment kit is gorgeous- full of 18th century goodness. I have had my eye on the laurel dies- as mom to four young men, I want to make them cards that have classic designs without being very feminine and these laurel garlands fit the bill. The text weight metallic paper? Yes! I have tried making bows with lightweight cardstock and not been super happy with the results, so I would love to try this metallic paper! Thanks Anna and team! I love those bow dies…how creative! And the foil text paper as well. Can’t wait for May 7th. I’ve been waiting for years for you to come out with Toile paper. Hoooooray! Oh, my goodness I ADORE the toile papers and embellishments, SO beautiful! I also LOVE those Laurel dies, I dont know how on earth I missed those! Can’t wait for the May 7th show!!! The beautiful bow dies and the double sided foil text paper are at the top of my shopping list!!! Would love to have them! I love that we are getting to see you more often and continue to bring us the most amazing items. Thank-you. I like all the dies and papers. The die I most like is the flowers and assembling it together! See you on May 7th on HSN! I can see my self making beautiful cards using the Mini 3D flower dies and decorated with the Bows Cutting dies out of the Double-Sided Foil Paper. LOVE the toile and toile embellishments. Also the mini flower dies. Actually, everything. See you in May. Love the text weight foil paper, the bow dies and flower Dies. The toile papers and embellishments are my favorite. They are beautiful. All so beautiful! Thank you for the great products! Would love to have the Toile paper or the sentiments to match! I would try the garland wreath set with them and third runner up would be the bow dies! Love, Love, Love the Toile Card Stock bundle, and the Toile embellishments! Also Love the Wedding Card Toppers! Thanks, Anna! Not my style so I will not be doing any purchase of this item. Oh every thing is so beautiful and the wedding card and the toppers my grand son is getting married on May 18 2019 so just what I need and love the bow dies . Really loving the toile paper! So pretty and unique. Also would like the laurel dies for use on masculine cards and in scrapbooking. I love the Toile papers and embellishments! So pretty. I have to agree the roses papers are my favorite! Thanks for the chance to win! There is no way I could chose one..I love them all!!!! !…can’t wait..Have a Happy Day!!!! Everything is just beautiful, but might favorite might be the Beautiful Bows Cutting Dies and Text Weight Foil Double Sided Paper. I can see using these on every project! I’d like to create w both die sets and need some text weight paper also. I love everything! Your designs are always exquisite. I’m anxiously awaiting your May 7th visit to HSN. Thanks for bringing back the Laurel dies. I am curious to see the rest of your new creations. Love you Anna!! I am a paper collector so I’ll have to get that paper pack and embellishments if I don’t get it from Anna. I absolutely love the 3D flower dies & foil paper…can’t wait to see! CANT WAIT FOR THE RETURN . Looking forward to the bow dies and the beautiful metallic text weight paper. My favorite item is the bow dies. Love the new designs. The papers that goes with them are just perfect. The laurel dies are so elegant. They would look beautiful on masculine cards with stamped wine bottles. They would also look great as a frame to enhance floral cards. It’s all beautiful. My favorite is the Laurel dies. I missed out the last time there were on. I also love the wedding wishes. I have the mini 3 d flower dies and love them. Can’t wait for the 7th. I thought I would try to be good and pull in the purse strings for the upcoming shows in May 2019. Anna you must have been reading my mind again. The new toile papers, and the toile embelishments are a definite must have…love,love,love. I also can’t live without the new wedding embelishments, have everything else, thank goodness. I love all of your products, but the 3D mini flower dies and the bow dies are a must in crafting. They are essential to have and a terrific tool along with the beautiful foil papers. Thank you for all that you create. I can’t wait for the next craft show! I love the Foil Paper colors and also the Laurel Dies! I think they would be so much fun to use! TOILE!!!! So excited to see this. I LOVE THE TOILE CARD SET SO MUCH! Also love your metallic papers they are the only ones that don’t get smears & marks on it when die cutting. it cuts perfect, embosses beautifully & no smudges like some other metallic papers! Toile, toile, toile!! And toile embellishments! Decor has come to my scrapbooks and cards! Oh the days of putting polished toile on s sweet little side chair! Or the toile handbag I had in the 80’s! Eeeeeee! Puhleeeeeeze! The Wedding Card Toppers have made it to the top of my list this week! The Laurel dies are so beautiful but love it all! Anna,I love the bow cutting dies and the laurel dies. I’m always adding to my die collection. Love those beautiful bow dies! Love the beautiful Toile papers and Embellishments. The bow dies are so pretty too! 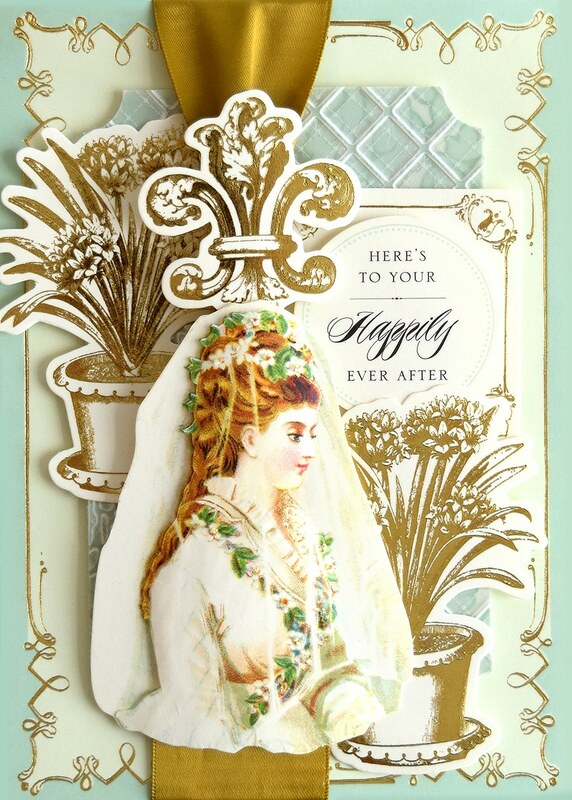 Anna your style is timeless and I would love to win any of your products but I love the bridal card toppers. Having celebrated 50 years last week we can only hope the new couples will also have many anniversaries to celebrate. I would love these to make wedding cards and anniversary cards to remind the couple of that special day. Wow the dies would be great for many years of creating. No one should pass up on your dies and the mini 3D flower dies or new beautiful bow dies are a must in any collection. The double-sided text weight foil paper for the bows in all those colors would make any card pop. Thank you for your generosity. Anna, I love the Laurel dies, and the beautiful bows dies. So beautiful. I love the Toile Paper kit and the Toile Embellishments. It is such a fun trend for summer, traditional but light and airy. I love the toile papers. They are so beautiful. I had a shirt to a skirt I wore when I renacted with a colonial group made out of toile that I loved. I made it myself. I would love to have these papers! Oh how I love new dies. I did not get the Laurel Dies the last time they were featured on HSN. I will order them first and early this time around. Now that I have my Empress Die Cutting and Embossing Machine, I will be even more excited about new dies in my craft room. I ordered a die cutting machine from someone else because I did not know that Anna would have a die cutting machine. Now that I have the Empress, I can tell you that it is like no other. All I can say is wow ! The cutting is so easy and the embossing is so outstanding. Awaiting another 24hour crafting show featuring all your great products. Oh the flower dies are perfect to use in decorating the cards and many other projects! Who wouldn’t be thrilled to own any of Anna’s exquisite items? My favorites are the Beautiful Bows Cutting Dies, the Double-Sided Foil Text Paper, and the Mini 3D Flower Dies. I have a big selection of Anna’s products already, but there’s always room for more! Anna, I am so excited and love your Mini 3D Flower Dies and your Foil Text Paper! Thank You for continuing to surprise us. Love, love, love the toile paper and toppers. Looking forward to the next craft day! Luv Luv Luv the Laurel Leaf Dies! They are a perfect addition to your die sets! I can’t wait to create with them Thanks for bringing them back! Hopefully the third time is a charm. I was at the hospital today since 7 a.m. as my son had to have plate put in his left arm that he broke at work 2 weeks ago and my comment didn’t post guess due to a storm last night that screwed up their internet. So here we go – love the Toile card stock, the embellishments, the Laurel, the bows. Oh shucks,Everything!! But the Toile should work we!! with the dolls card toppers. Watched a couple shows from Canada! Have a fabulous Easter!! The lovely toile papers just scream tradition, in the nicest possible way! The foil text paper looks amazing. I absolutely adore the laurel wreath and mini flower dies. I’m always attracted to your dies. So many ways to use them. As always, viewing the products just triggers creative uses for each and makes me highly anticipate HSN craft day. Thank you. I love the wedding card toppers and the toile embellishments and also the double sided foil paper for bows. I also love the dye sets you have brought back. I can’t wait until the HSN craft day in May! Thanks for all the beautiful products Anna!!!! Love your new products. I especially like the dies to be able to put through the Empress! So many beautiful things. The Laurel dies add such a special accent to cards. Anna, I love these products, they are all so lovely! I think I’m most excited about the Laurel Dies, I love making monogrammed cards and those dies are just what I need! Thank you again Anna, you take such good care of us! Love those bow and Laural dies! Oh Anna, I love Toile and the wedding embellishments. Good thing my birthday is next month! My good deed: The past few months I adopted a lady who lost her husband of 61 years. I showed her my office and all your items. I pretended I was Vanna White holding everything up and by the time she left she had an ANNA tote bag filled:-) She made me some beautiful bath cat towels etc. so we are both happy. Thanks Anna, I think we had our last snow in Lower Michigan! I love the toile paper and embellishments and the wedding toppers the best! Can’t wait for May 7th shows! Love anything ANNA! I LOVE everything TOILE!!! It is so Beautiful!!! It is my favorite . I would love to win it!! I’m so thrilled the mini 3D Flower Dies are coming back as I really wanted them. Also loved the Laurel dies. I’m excited to see toile papers again Guess my order is ready. Thanks for all the ideas. Love the Mini 3d flowers dies! I just got home so my comment is late but I watched your video and I love everything especially the. Bow cutting dies. Hi Anna!! I would love to have the double-sided foil text paper. Love all the new products. If it has Anna’s name on it, you know it is awesome and exquisite !!! Love it all! If I have to choose it would be the Toile paper and embellishments. It reminds me of your earlier scrapbook materials and they are done so well. The bow die and wedding set are equally as wonderful. Thank you for all of the great products. The wedding card toppers and toile paper are a must have to complete that perfect wedding card unique design. You have done it again Ann! I can’t wait to watch you in May. A true elegant artist. The toile paper is everything!! My daughter’s bassinet had toile bedding in black and this is perfect for those scrapbook pages. Anna I love the laurel dies and the mini 3 D flower dies. The cards are absolutely gorgeous. I can’t wait to see your presentation on the 7th. There are so many possibilities to add with the preview from last week and my huge collection of Anna dies. Toile Paper and ephemera are fabulous. Reminds me of some of your scrapbook papers from many years ago. Great memories using those papers. 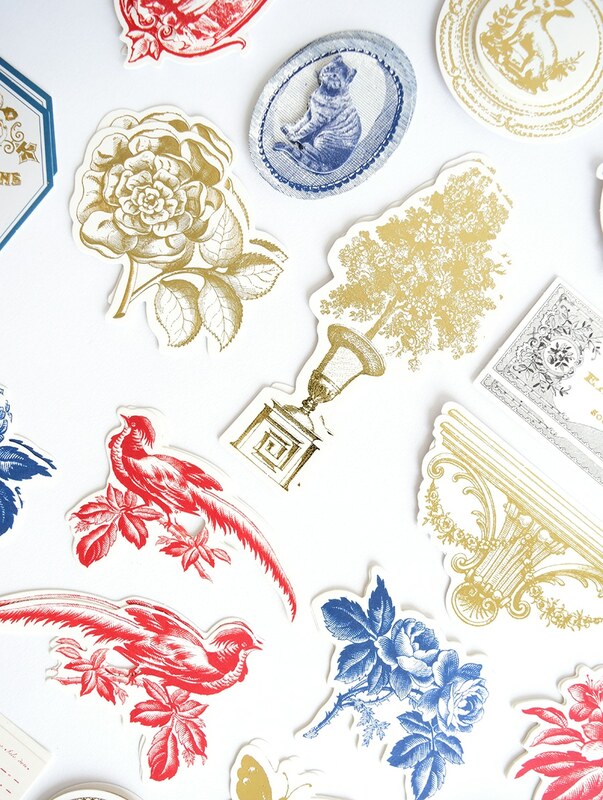 Glad to see these new Toile papers and stickers ! But all your are super great too! BOWS & FOILS!!!! I have to be honest, I was not that crazy about paper bows. I have bags and bags of your premade ribbons Anna, I put them on everything!! I decided to try making a few with the Cricut and your Ribbons and Bows cartridge. The first couple didn’t impress me so I used some scraps of foil I had, took my time and really played with the sizes and I am now a very big fan of paper bows!! I have even come to prefer using a paper bow depending on the size and style of card I am working on. It’s usually hard to pick a favorite and I do love the Toile and Wedding Ephemera, but this time around it’s all Bows & Foils for me!!! Hi Anna, I Love everything, I have the 3D mini Flower Dies and I absolutely love them. I like the Double-sided Foil Text Paper. And the Bows Cutting Dies. But the main thing that on my list to get is the Toile Card Stock Bundle and Toile Embellishment Kit. It reminds of my Mom that in Heaven, she Loved the Vases with the blue. Laurel Dies and Wedding Card Toppers Kit. Thank you, Anna and your team for making everything so beautifully. Sincerely one of your biggest fans! Anna- the paper bows and flower dies are amazing. Can’t wait to get them. You have done it again. Like always I love it all! I make a lot of wedding cards, which are my favorites. It will be fun to use the wedding embellishments. The new dies are to die for! I love them too. Annas dies always cut perfectly. I love all of these items but my favorite is the toile paper and embellishments. All of your products are gorgeous. I especially love the laurel dies and the bows dies with the foil text paper. So many projects these can be added to with scrapbooking and card making. Looking forward to the show. Those bow dies, wow! What a great idea! Love them and those laurel dies. Gorgeous together. You never disappoint Anna. I love everything toile!! And your paper looks so beautiful! Can’t wait to get it! I’ve got fingers and toes crossed to be the lucky winner of the Beaytiful Bows Die Cuts! Anna, I genuinely appreciate the opportunity to be the lucky winner. Looking forward to seeing you on HSN, love your shows. The Beautiful Bows Cutting Dies and the Double-sided Foil Text Papers caught my eye as well as the Wedding Card Toppers Kit. But I missed last time and really want is the Mini 3-D Flower Dies. Anything you produce is something I would appreciate. I love the the Beautiful Bows Cutting Dies. They finish off a card to make it so special. I love the wedding card topper kit. The vintage wedding cards you showed are gorgeous. Anna, everything is beautiful as always. What I love is the vintage paper, but most of all the bow dies and foil paper. I have arthritis and painful neuropathy in my hands and it’s very hard to make bows. What a tremendous help this would be for me. Can hardly wait to see what else you have on May 7th. Love Toile and the Wedding collections; can’t wait to create. I love the toile embellishment kit. 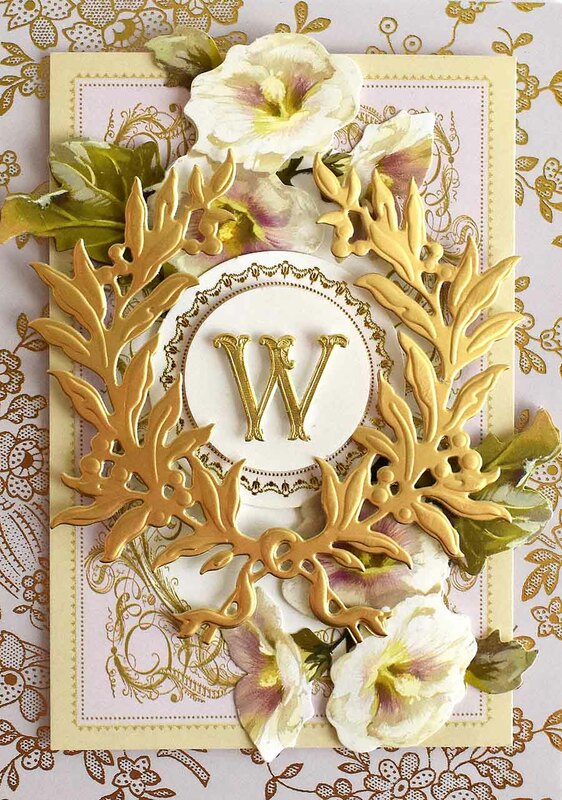 So so timeless and beautiful, perfect for sending cards to my friends that will appreciate these designs and style. Oh, how I love the toile. I have a bedroom in country french red toile with sunflower accents. It is so beautiful…I would really like to work with this paper and embellishments. Ok… shut the front door….TOILE! I’m in love with the tools papers. Gorgeous! So many possibilities. I love the mini 3 D flower die cuts. Perfect for spring and summer cards. Anna Griffin, you have done it again! You make it almost impossible to choose a favorite product. You do everything so well! I would have to say that I love the Laurel dies. They are so versatile. I can see myself using them quite often. Hi Anna so looking fwd to see you coming on May7th I’m loving the new Toile papers and the Toile Embellishments …keep well and be seeing ya soon. Oh my gosh Anna – I love all the new products but especially love the toile papers and toppers! They are so elegant! I also love the Antique Wedding toppers. You are a creative genius. Your dies are the greatest – in this preview, I love the beautiful bows dies and the Laurel Dies. I love the toile paper and the beautiful foil papers. They are gorgeous!!! You make such beautiful things! Have to have all of these Anna Griffin products! They are all just beautiful! Can’t wait until the craft day in May! Two things I adore: blue toile and blue rose patterns! I am head over heels in love with your new toile papers and the blue rose toile is THE ultimate for me!!! I need it in my life!!! I would love to win the gorgeous set of papers — thanks for this opportunity! So many beautiful items. I would love the 3D mini floral dies or the laurel dies. Both gorgeous. The 3d bow dies are gorgeous too. It’s all good!!! Thanks Anna for this Amaz ing opportunity. I love it all but my fav would be the toile paper or card toppers. So gorgeous. Thanks Anna for all the new goodies. Can’t wait for the Craft show!!! WoW, I love everything, especially the toile papers and embellishments. The beautiful bows cutting dies and the double side foil text paper. I would love to win them but I will order them on Hsn. I have many of Anna’s kits and enjoy making the cards and every one loves them. Thank you Anna for all your ideas. It makes it easy for us. I look forward to all Hsn shows and your emails. I always review your blogs. Keep up the great work. I am loving the new toile papers and embellishments, gorgeous! As usual I love everything but my favorite today would be the bow dies and the metallic text weight paper. Thank you for making it easy to do those bows! Love Toile! Happy to see it in these lovely papers! Here we go again. The merry-go-round of deciding which I like best. Well, not quite as difficult this time actually! I have done toile embroidery on dinner napkins and just love it so that was an easy decision. The beautiful bows have to come in a close second. As they say ” everything looks better with a bow”. I sure would be happy to make my creations look bow better. Love you. Hugs. I love the mini 3d flower dies. I enjoy putting flowers on all my cards. Hello the Toile card stock sure looks like some that was sold in the drapery store I sewed draperies for. The bow dies and flowers are really cute to put on cards. The double sided foil text paper comes in such beautiful colors . I guess that is my favorite if I have to pick just one .I am so pleased to see more crafting days on HSN. Love the toile papers, the 3D flower dies and the foil papers. Thank you for coming out with the wedding toppers. I have a nephew getting married in October and they are going to be perfect to make cards for my new niece to be. Don’t you just love weddings! The new paper for the bows will be the icing on the cake! Wedding cake that is. Oh Anna, another wonderful collection of items. But my favorite is the bow dies or the flower dies or maybe the text paper or maybe the toile paper and embellishments. Who am I kidding the LOVE them all. The flower dies are Beautiful. I love all the paper, and the embellishments that go with them. The bow die is great to have. You think of everything to make it easy to create such beautiful cards. Thank you. The toile is very different and beautiful. I missed out on the mini 3D flower dies, so they will be in my cart for sure May 7th. Love the mini 3-D Flower dies! Would be great to use on my Easter scrapbook pages. Toile Embellishment Kit look beautiful. I could spend hours creating with those! Anna, the dies are so pretty. I love using flowers on my cards. All the dies make great accents for any card. Awesome, awesome, AWESOME!! you’ve done it once again, Anna!! Toile never goes out of style! How can we choose? We CAN NOT, so we must purchase it ALL!! Love ya, Anna! You never fail us! Thanks Anna and all your team for all the hard work that goes into all you do for us Griffinittes!!! The 3D flower dies and bow dies are awesome; these dies makes crafting easy. I just love the mini 3D flower dies. I could cut flowers all day long! I also love your beautiful double sided foil paper. Gorgeous colors! The mini dies and the foil text paper add such elegance to everything. Can’t wait for HSN! Love every single item coming out. Really do like the new Double sided foil text Paper and the Laurel Dies. These two will have to go on my “wish” list. Thanks for all your great things. I love the wedding card topper kit. You make it so easy to make beautiful cards that I am proud to give to friends and family. I am so excited about the Wedding Card Topper Kit! I see so many ways to use the items! As usual I love everything. I have decorated with toile so love the cardstock and embellishment kit. 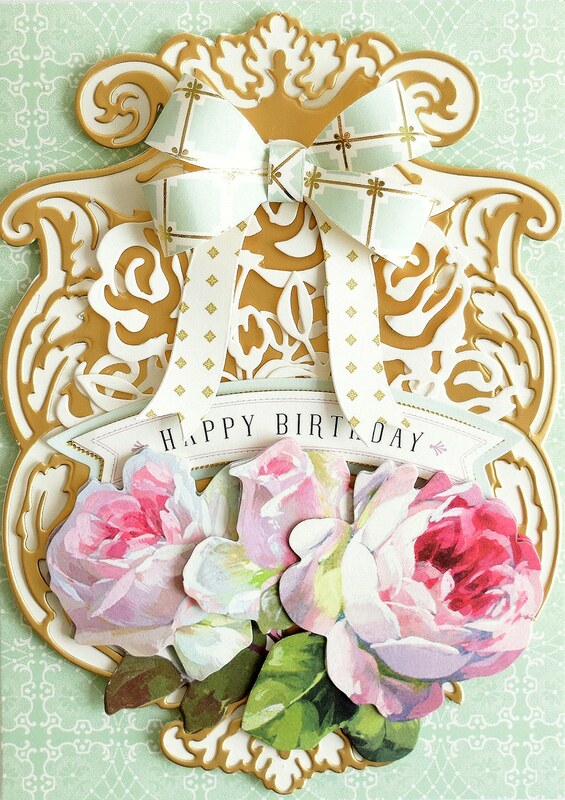 The bow cutting dies and the double sided foil paper will add that elegant touch to a card. The wedding themed ephemera is amazing as well. I haven’t use laurel dies but just like everything else they seem versatile. I actually do have the mini 3D flowers and love them! Nothing adds elegance like a bow so using the bow dies will add that extra touch. Love the paper. So many beautiful products. Wow what to pick as my favorite ! At the top of my list are the 3D flower dies, the bow die, too cool and the foil paper. I am so thrilled to see the Toile set being introduced! I love working with such elegant themed pieces and your spin on a classic design such as this does not disappoint at all. I can’t decide though which I love and want more though, the paper or the embellishment set. I keep telling myself to be good, use what I have in stock and be happy and most of all just wait for Create 5 to get here. Then these previews happen and all bets are off. I adore the Wedding Card Topper kit as well as the Toile cardstock and embellishments. These would help create some stunning cards and scrapbook pages! So beautiful! WOW, such an amazing assortment of crafty-craft card-making items!!! I am very interested in the Beautiful Bows Cutting Dies. I enjoyed making those bows included in the older Christmas kits and Giftable Purses and would love to be able to create them myself. The Double-sided Foil Text Papers will make a wide range of majestic bows as well as wreaths, laurels and scrolls. Thank you, Anna, for adding beauty to springtime!! I Love the flower dies and the toile both are beatiful. I love the bows and mini flier dies, O cannot wait to watch the shows!!! Absolutely LOVE the beautiful bows dies and the text weight foil paper to go with them. You can NEVER have to many bows for “Anna” cards. I love the Toile paper and embellishments. They are truly gorgeous. Happy Easter!! Oh my!!!! I love the Toile paper and embellishments!!! They are incredible and so Anna Griffin!!!! I’m beyond excited!!!! THE SET OF LAUREL DIES ARE MY FAVORITE. THEY WOULD MAKE MY DIES SETS COMPLETE IF I WIN THESE. So many new things to love. I think my favorite is the Laurel Dies Coming back. I wasn’t able to get them the first time around and the cards you made are lovely. But of course any of your items I’d be happy to win! I love the wedding set! So romantic! I’m counting down the days until May 7th! Love all of Anna’s products, but those Laurel dies would be fantastic on so many cards! I love the all the new papers and all the dies. Can’t have too many dies. I hope I win. Its all gorgeous, buy that toile paper and embellishments are to die for! Love the tissue weight metallic paper, too – as well as everything! Love everything but my favorite is the Toile. I have never seen toile in cardmaking so this is so unique. The flower dies are also a great addition to anyone’s card making supplies. Thanks for all you do. The Toile and wedding items are really lovely. They make beautiful cards and pages. Everything is so special from you, Ms. Anna Griffin. It is hard to say just one thing is more desirable than the others. The bow dies are the best on the market today, but I really love the Foil Text paper; by far it is my favorite of the things you previewed today. I love the flower dies! So pretty. Absolutely can’t wait to get the Laurel dies. They look like the ones you sell pre-made in sheets. This way I can make as many as I want and don’t have to skimp or decide which cards are “worthy” of my last laurel embellishment! I can just cut more for as many cards as I want. Love the Toile papers and embellishments and the foil, too. Can’t wait til May 7 to order them all on HSN. I’m loving the toile paper! I’d be so excited to win that…my name has never been picked. The 3D flower dies are exciting! How much fun it will be to add these to my cards. Thank you, Anna. Wow! Everything is so gorgeous! I love, love, love the Toile Cardstock! And the foil text weight papers are brilliant. Looking forward to May 7th! Hi Anna, again what’s not to like. 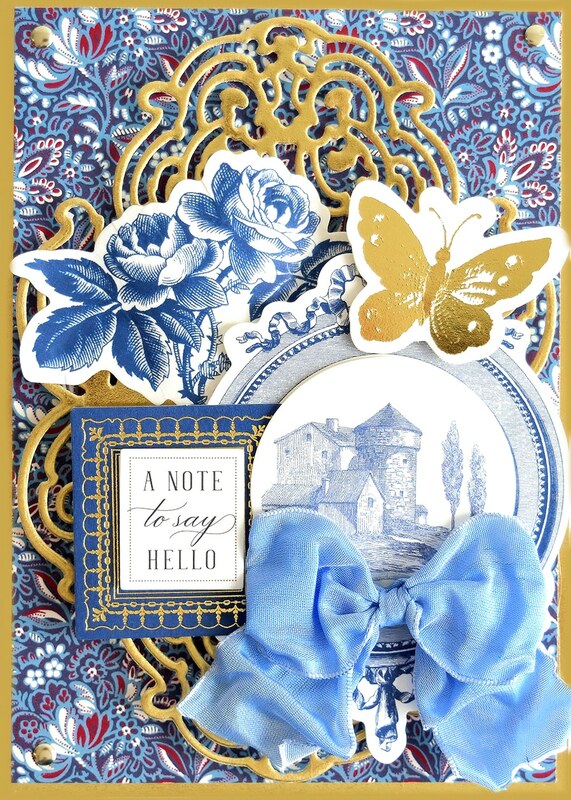 Everything is always beautiful and you just keep coming out with more and more beautiful items.I love the Toile papers, Toile embellishments, mini flower dies, oh heck, I love it all. So excited to try the wedding die cuts. They are so beautiful! So are the new papers. Looking forward to creating some new cards. I so love that toile is back. Anna you are so detailed and awesome and your team .Also love the bows. I was wondering will you be doing any storage boxes in toile . Hint my craft room needs this so I can purchase. I love it all! The text weight metallic paper sounds like a lot of fun especially with the bows due cuts! You are so clever and I can never have too much of your papers they are classic! Please pick me! Oh my! What don’t I love! Beautiful. Can not wait to use it. There is nothing that I don’t love about your card making kits. I have so much. With 19 grand, and 6 great grandchildren (37 in total in family) plus friends I can use everything. Keep up the good works. Fontaine from McDonough. I am a huge Francophile, so you can guess which is my favorite. I guess that is one reason why I am so in love with your products. Your french influences are what has always caught my attention. Toile happens to be my favorite fabric. I have a lot of toile in my home. Merci et adieu! 3D flower dies, the foil paper! I love ALL of it! What!!!! You want me to pick just one of two that I like the best! Can’t be done…I love everything you showed today! They are all so beautiful! The beautiful bow dies !!!!! I have been wanting someone to come out with this , they are so amazing I have got to get them !! Love love love them !!!! Love the Laurel dies and gorgeous double sided foils. Love the bow dies and foil text paper! I really love love love the toile cardstock! They are beautiful and very classic. I also love the new bow dies and double-sided foil text papers. I’m looking forward to seeing all these new items on HSN in May! I really like the 3D mini flower dies. The ability to make flowers any color or on design papers. The text weight foil paper would be great with these dies also. Oh my, everything is so very beautiful. I always love your foils and I’m most excited about that variety package of double sided paper. I also really love the toile paper and the way it looks with the flocked layer in black. Wow! I love the new toile papers!! I have always loved the toile prints in home decor and cannot wait to incorporate now with my cards and craft projects. 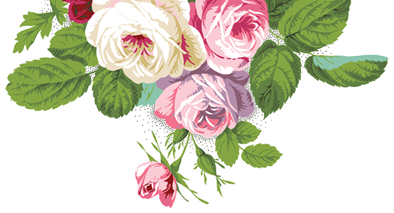 I also cannot wait to make Toile flowers with the 3D mini flower dies. How beautiful will it be to have toile flowers for a mini framed art piece and my cards!! Simply elegant!! I love love love the toile!!! And the matching ephemera is great! And everything else is just fabulous, as always! Love all the new toile and metallic paper. We’ll love everything!! Die cuts! I am in love with the mini floral dies . LOVE THE TEXT PAPERS AND THE BOW DIES! AND A 2ND CHANCE TO BUY THE BOTANICAL DIES. THANK YOU. Looking forward to receiving these products! Hi Anna, I love it all, I mean, who wouldn’t? I particularly am in love with the Mini 3D flower dies. So many wedding bouquet cards to make this spring and summer. I can’t hardly wait to order or (fingers crossed) receive xo. Oh Anna, I can tell I better clear my credit card., For May. I love it all, But I have to say the Toil paper is my favorite! I love the foil text paper. Cannot wait to get them! Thanks Anna for all you do! Love the dies and foil paper. Love the mini flower dies! Definitely on my must have list! Thanks Anna! Be still my fluttering heart! Thank you Anna, for creating my Toile product request! This cardstock blew me away! It is absolutely gorgeous! I adore every sheet. So yes, I would jump to the Moon if I won the Toile cardstock bundle!! Pick me! Pick me! Of course the accompanying Toile Embellishment kit is a must have to ho with the cardstock. You are beautiful in the making! I love toile!!! Thank you, Anna, for creating the beautiful papers and embellishments! I would love to win the gorgeous Toile Cardstock or the Toile Embellishments. So lovely!!! The beautiful bows die ate a must!!!! I would live to own the Beautiful Bows dies. I like the bows because the dies look like they do all the work for you. Hi Anna! I’m so happy to see you have toile paper and the matching die cuts. I always have a hard time picking a favourite when there are so many lovely things to choose from. Looking forward to seeing the new items presented! Love, love, love the toile papers and embellishments. The bow dies are really needed and appreciated, same with the laurel dies. Anxious to see you in May. Would love to win these! Finally, your Beautiful Bow Die Set gives me a way to make perfect bows. I would really love to win this! I love the double sided text weight paper. I have the bow cartridge and think the paper would be great for making the bows. 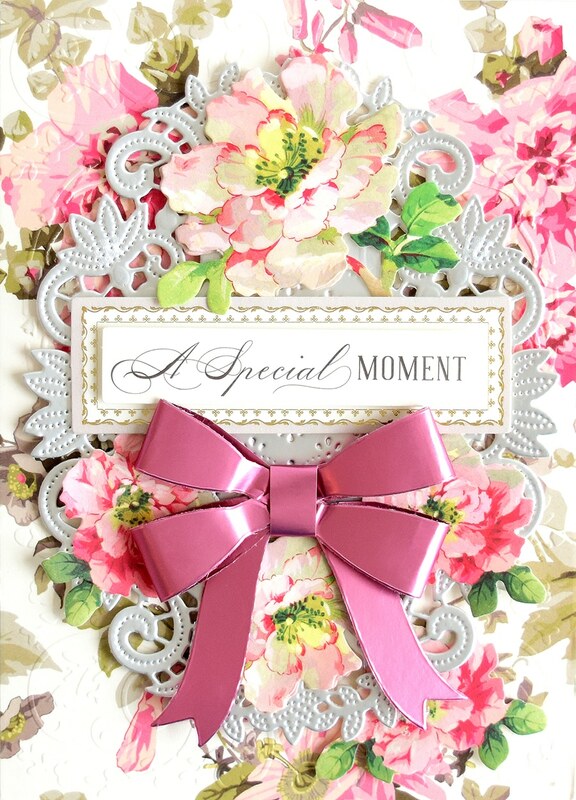 The flower dies are gorgeous and mixed with the bows to make exceptional cards. Thank goodness that you are bringing them back. Absolutely love the toile. Had a room papered with it many years ago. Also used fabric for designer items. It would be really, really nice to win it. I love the flower & leaf sprig dies! Beautiful! The Laurel dies are fabulous! I must have missed these the first time around. Keep up the good work – endless ideas. There are so many great things. I love the bow does, plus everything else. You have such great things. My house is full of your items. Thanks. I am so excited to see the Toile papers and embellishments. But my favorite thing is the wedding embellishments I’ve been looking for something like this. I love all those wedding toppers. The die cuts for the flowers are beautiful and I love those heraldry die cuts also. Pick me please. Do you sell the beautiful shiny gold foil paper that looks so elegant when used with your many dye cuts? I can only find a mat finish. I have purchased loads of your dyes and am so anxious to design my cards using shiny gold accents. Would love to win the gorgeous double sided foil papers in all their bright and beautiful and oh so cheerful colors for Spring. Here we go again. I want it all. My favorite item is the Beautiful Bows Cutting Dies. I can’t make a bow to save my life. How elegant my cards would now be. Lovely new items. My favorite items in this preview are the laurel dies and mini flowers dies. I look forward to your HSN visit. I can’t wait for the laurel cut and emboss dies to return…missed them the first time! Love the toile paper and the paper for the bows. I am very excited about the beautiful bows and text paper and also the three dimensional flowers die. Oh my goodness, so many choices. I simply cannot pick a favorite. Love the dimensional flower dies, toile paper, bow dies and double sided metallic paper. Anna, you think of everything. So beautiful and I cannot wait to see you demonstrate these lovely items on craft day. Love the wedding for cuts! Anna, love the toile papers and embellishments and since I have a grandson getting married in August got to have the wedding embellishments. How do you keep the beauty in the making going!!! Love it all!! Oh my, I need the bow dies! I love the look of them done in the special paper, so please, Anna, send them off my way! The new toilet paper and embellishments are lovely. It’s a new/old look with a color palette I haven’t used in your products. Love all your items. Argh, autocorrect changed my “toile” to “toilet.” Oh, that’s awful, yet kind of funny! The 3D mini flowers are adorable. I can see many uses for them. I love it all! I have always loved Toile so of course I would love to win the beautiful cardstock and embellishments. I also love the bow dies and the mini flower dies. I have the Christmas version but not this one. It is soooo hard to decide what is my favorite new product. Of COURSE the toile paper and embellishments are top. But the mini flower dies, and beautiful papers are a close second. Thank you Anna and Co. for all you do! I finally had time to watch the preview and I’m so excited. The toile items are fantastic… I love toile!!!. Love it all! But I especially love the flower dies, Toile and embellishments!! As always Anna, everything you have created would make any crafter happy. I love the BEAUTIFUL BOWS DIES AND DOUBLE SIDED FOIL PAPERS. I have been putting bows on everything since I was a little girl and I still do it! No matter what I am doing, if something doesn’t look quite right the gold standard solution is a BOW! So here’s the story. My #2 granddaughter, Rebecca, is now 25, and is, and has been in love with her high school sweetheart, but they are still not engaged– much to my chagrin. I’ m thinking that if I get the wedding kit, it will be a positive omen, and I will soon be sitting on the front row of her wedding. Whadda you think? Wedding season is coming up soon! I am a hopeless romantic so I love the wedding card toppers kit. That is something I would definitely use for engagement, shower, and of course wedding cards. Might even sneak them in other cards too. Who doesn’t love a bride?! Love, love all the Toile… the papers and the embellishments. They are so elegant. You can’t go wrong with TOILE. And the new bow dies are a must have! I love, love, love toile. So much so that This year I had my birthday cake covered in a red toile pattern. I absolutely can’t wait to get my hands on these new products! Thanks for the beautiful pieces Anna. Oh Anna, you just took me back home!! My mom had a French set of tableware in blue, just like the toile paper you have here. I would love the cardstock or the embellishments! I love the bow dies and the 3D flower dies! Can’t wait until May! I love everything, but I need the double sided text weight foil paper desperately. Thanks for the chance to win it. Have always love the French Pastoral Scenes. Really happy to see the matching embellishments. Just made a Birthday Card using your new Crown Dies with your Laurels Dies. What a perfect combination! Beautiful wedding card toppers, beautiful toile paper and toile embellishments ! I would like to do my daughter wedding cards with them!! Nothing Ever is ugly! Love, Love the Mini 3D Flower Dies. A beautiful addition to any card or scrapbook page. I work in 2 school Libraries and they would be beautiful on top of a Book Mark, especially if made with the Foil Text Papers. Lovely. The toile is absolutely beautiful! It is such a versatile designed to use in paper crafting. Essentially, the equivalent of wallpaper for its purpose in design. I love the 3d flowers..I would be thrilled to win anything you design..it is all wonderful.. I love the bow dies and the paper, so very elegant. I would love to win these. I’ve got to write down the date on my calendar. I can’t wait to see all your creations! I really LOVE the 3-D flowers. Those are my fav! I’ve never won anything yet so I hope you pick me to win the floral dies! OH……..MY……..GOODNESS. I am in love with everything Toile and the paper is absolutely beautiful. May I please win those? Thank you for consistently bringing us such beautiful products. Hi Anna, I just love the wedding themed ephemera and the card bases to go with it they are so pretty and such a treat at this time of year. I am adding them to my list. Pat. Anna! I love the bow dies and ESPECIALLY that double sided paper! That can work with so many of your other dies already too. Omg better start saving my money! I love the laurel dies I must have missed those from before just beautiful I think they would work well with your crown dies. The laurel dies would be great for my collection. I love the foil text paper, toile paper & the toile embellishments. Thanks for bringing back the flowers too. The Mini 3D Flowers are to DIE for, Anna! LOVE! Simply beautiful and love it all. Cannot wait to make something pretty. I love your mini 3 d flower set. I’ve been building my flower library and I’m hoping to get these. I make all kinds of paper flowers just about every day. And the greenery that comes with this set are just what I am looking for. What a beautiful set. Love them! All your items are exquisite. Keep doing what your doing for all of us crafters! It’s a good thing that I checked, because I was going to order those flower dies again! Already have those..lol. I’m so happy you came out with text weight foil papers! That is a SUPER MUST HAVE!! I bet it would look good with the flower dies?! I now own your Botanical mini dies, floral dies, the mini fan dies and the feather dies. Oh, and the rosette dies as well. My binders are so heavy. I should probably order more binders, huh? Have a blessed week Ms. Anna! Thank you for the opportunity. I really like the laurel wreath dies. They would look so lovely around one of your new crown dies–so regal. I have had some of your toile papers and they are so elegant and reminiscent of fine French fabrics. But, I would be happy to win any of the products you previewed today. Love all of the new items. Have to have the new bow dies! Can’t wait to get them! card making you tube showing. The alphabet dies are available right here on our website. Love the toile papers, will make beautiful cards . Adore the wedding card toppers and embellishments, been needing that. I have the bow dies from before, and I love them. Looking forward to the show. A while back. Again I REALLY WANT THE TOILE PAPER AND EMBELLISHMENTS!! Ahhh toile my favorite of all time. This is beautiful. The toile paper is absolutely gorgeous and I love that you made a companion ephemera set to match!!! Looking forward to the show in May 7th! Of course, everything is beautiful! Especially love the toile cardstock and Bow Dies! The Double-Sided Foil Text Papers are a great idea. Can think of lots of uses for it besides making bows. Will definitely pick some up! We have a few weddings this year, so the wedding set will be a must for me. Oh my—how beautiful these items are———-how ironic especially in light of the terrible news coming from Paris at this time.The beautiful bow dies are a must have–to make every project extra special. The double sided foil paper is dreamy. The toil embellishments would also add special touches to cards and scrapbook pages. Of course I wish I would be able to get all items. See you on the shows. I just love the bow dies and the foil text paper! Anna, How do I claim my prize above? The small flower dies are great – what lovely cards they will embellish. Anna, I love the new products especially the Bow Dies, the Double sided Foil text paper, and the Mini 3-D flower dies!! Oh, I can’t stand it!!! I love all of it!!! If I had to narrow it down, I guess the wedding topper kit is my favorite. Thank you Anna! Anna- My favorite is the Bow Cutting Die kit. That would be very useful in cardmaking. It would give me the ability to make bows in whatever paper works. I love everything. The Wedding Card Topper is a close second. Your creativity just amazes me. Kudos Anna!! Love, love, love the toile products!!! I still have my Anna Griffin, toile, flower stamps from way back when!!! Oh definitely the wedding set. My daughter is getting married this year. I can totally see all sorts of projects coming to life. I love the beautiful bows dies. I already have the other dies, and I love them too. Everything looks great but I really like the Laurel Dies and the Mini 3D Flowers dies. I like the Bows Cutting Dies and Double sided Foil Text paper. I love the Double sided foil text paper-the colors are fabulous! Of course, the Beautiful bows cutting dies are perfect with the paper. The beautiful bow dies and the double sided foil text paper are at the top of my list. Anna you think of everything!!! Oh wow! I love all of it but I really love the paper with the foil shiny finish. The colors are amazing and I must have them!!! I’m so excited for the show. Thanks for keeping us supplied with new items to create with. Variety is the spice of life! Love it all but the tolie paper is the best! Love the colors! Everything is just so beautiful. I Can’t wait until May. Hi, Anna. I love the bow dies, and the laurel dies, and the 3D flower and leaves dies. The wedding toppers are so beautiful but I really don’t have the need for those at this stage of my life. The Toile is beautiful but I think I have some in my stash. Keep up the great work. Your right, you are blowing us away! I love your Toile Cardstock stack. I remember years ago buying your paper pack with print like that, it is beautiful. TheBeautiful Bow Maker dies are a must have for me. Anna, your killing me! Anna, I love the Foil text paper and the mini 3d flowers. I can’t believe I won the concentric dies. I am so excited, I haven’t won anything in the last 20 years when I won a kitchen stool. Thank you, Anna, you’re the tops–you’re the Coliseum, you’re the tops, you’re the Louvre Museum. I am a little concerned because I have not gotten an e-mail of your blog since March 7. Tried to re-subscribe to no avail. Could use some help. At any rate, not taking a chance of not getting my dies. Cannot wait for all the new and wonderful things to come. The top of my want list is the antique guy embellishhments. The toile embellishment kit looks so elegant,I want it! Love, love it all but the 3-d mini flower die would be a game changer for my card making. The toile papers are just a Dream waiting to happen. I love them. Your sharing of so many wonderful things and ideas is heartwarming, Anna. Thank you! Oooh that toile card stock is so very pretty, love it! The double sided foil text paper is also genius, now we can tuck and fold wih foil! There is so much here to love! Beautiful, everything! I especially love the Toile embellishments kit , also the papers. The bow dies and text papers are a must have. The colors are so yummy.. What’s not to love!! Thank you Anna..
Everything is wonderful! I can’t wait until May! I absolutely love the Laurel dies, the 3-D flower dies and the wedding toppers! You and your team have outdone yourselves again! Great products! I certainly can use the wedding assortment since I make cards. Some times it seems that you can run out of ideas for new card fronts for these type of cards and looks like a good varity. The bow maker looks like a fund die. Thanks so much. I just love it all Anna!! You and your team never cease to amaze! Looking forward to May 7th!! As always, it is all beautiful. I love the cardstock and the text weight foil paper is awesome! Would love to win either of these! One again I love it all but my favorites are the Beautiful Bows Cutting dies and the double-sided foil text paper. Absolutely ingenious addition to any card-maker’s studio! I would love to win the Toile papers and embellishments. 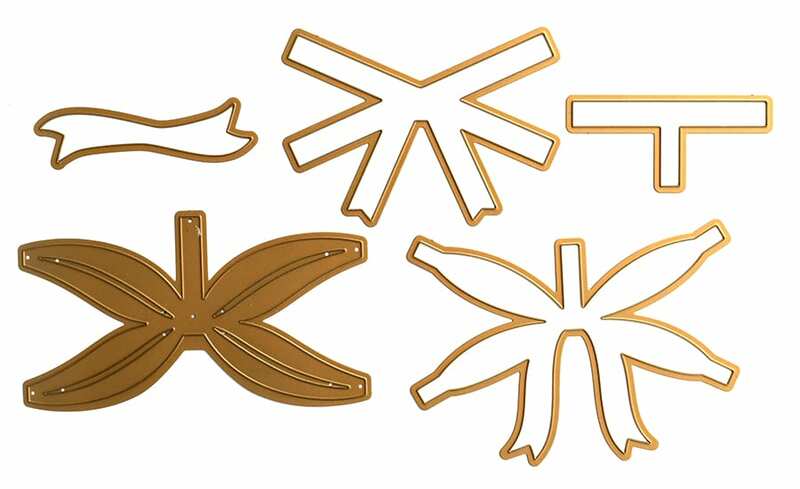 I will have to purchase the bow dies; can you tell me what you used for the stamens on the gold card? I love that look! WOW! Such different and beautiful items! Unbelievable how you and your team keep coming up with new, new and new. Oh boy, I am in trouble again. Can’t seem to bring my purchases down oh well. I just love the Toile Paper and Embellishments set i’vE never seen those before. The paper looks very exquisite!!!! I also love the Wedding Collage Topper set. Do you know how much a wedding card costs these days? My mom also asks me to her some. Love the mini 3 D flower dies. I could make so many flowers with these. All other products are awesome too. Can’t wait until May. Have a wonderful week. You never disappoint…love the mini flower dies and the bow dies the double sided foil paper is great also…. The beautiful bow dies with the double sided foil text paper is just what I need to add the finishing touches to my cards. Although sold separately, they would make a great bundle! I plan on buying both, unless I am fortunate enough to winnow of them.. I love the bow dies and text weight papers. They will make a great addition to my craft arsenal! I love the 3D floral dies and haven’t gotten them yet. 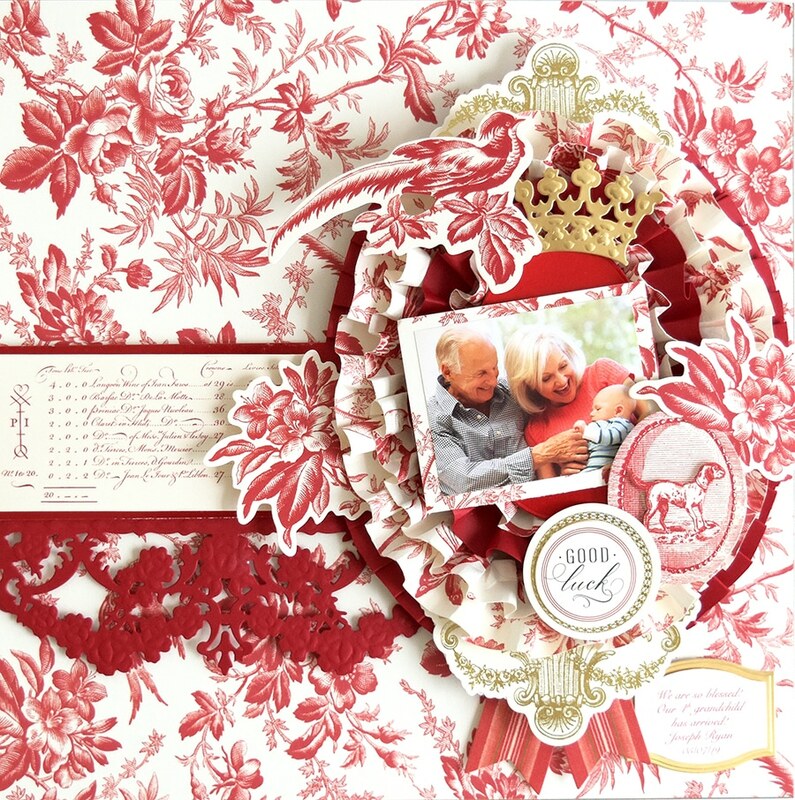 I love the Toile Cardstock and Toile Embellishment Kit, the Wedding Card Topper Kit is gorgeous! These new items will make stunning cards. Oh Anna, the wedding embellishments are so beautiful. My granddaughter just got engaged. How exciting would it be to make her a card from these embellishments. I dearly love them. Your stuff far exceeds anyone else product. I only buy AG, it’s always great. Anna, I love the new bow dies and the paper that goes along with them. OH. MY. GOODNESS! The Toile papers and embellishments are STUNNING! I was born in France (a loooong time ago) and even though we weren’t there for long afterwards, it still has a huge place in my heart. Given the burning of the Notre Dame Cathedral in Paris, right now, it is really tugging at my heart. Anna those double sided foil would look awesome with the jacket dies! backgrounded with the 3d floral would make my Spring cards like a garden you want to explore and grow! beautiful! I LOVE the toile… absolutely gorgeous and a must have for my crafty stash. But the ultimate addition would be the bow dies and paper! LOVE the idea for having text weight paper for this… ingenious! Making paper bows will be a breeze! Thank you! Everyone loves a wedding especially me!! I am all for the wedding card topper set. Your taste is so elegant Anna. I’m so happy you share with us. Anna. I see a lot to love but the Toile paper is so pretty. I love the bow dies also. Anna, I would LOVE the beautiful Bows dies. How beautiful! I am very excited about the returning dies, but especially the “BOW” dies. Everything is to die for, but especially the dies and metallic text weight papers. Your products make card making so much fun! I’m glad you’re bring back the Laurel Dies I missed them the first time around. Everything previewed is amazing! I especially love the bow dies, 3D flowers, and foil papers. So excited to watch in May! Im getting the bows die cut…it’s my favorite…..I can never make bows! Now all my cards will look so beatiful. I’m so excited for them. Hurry up May 7th!!!!!! Wasn’t one of your first designs a black and ivory toile with two ribbons? You do everything exceedingly well and I think this new paper will work excellent with the embellishments and dies. But your products always work together, new and old, toile and not-toile. Btw, those Wedding card Toppers are BEAUTIFUL!!! I am so glad you are bringing the Mini 3D flower die set back. I was so disappointed when I missed them last time. Also the double sided foil paper I have to have! Thank you for all the beautiful things! Totally thrilled with the Toile paper and embellishments. Can’t wait to use them on birthday cards etc. Love all the other new products as well. 25 years of joy!! I am a beginner at card making, and I just love everything . This is a way to add to my collection. I looks forward for all of Anna’s showing. Such another stunning presentation. The French colors will be so fun to work with. Love the laurel dies and the foil text papers. Have the bow dies and can’t wait to make some beautiful foil bows! I really like the Toile paper set and Toile embellishment set. They are a new fun way to use for cards and scrapbook pages. Go Anna and team! I didn’t intend to buy, currently facing vet bills for my beloved yellow tabby, but I will buy the Toile paper and Embelishments in honor of Notre Dame, currently burning out of control. Toile, Notre Dame, and cats, all true classics. I love love the toile paper set and the 105 pc set of the foil text weight paper for the bows!! I’m so excited for these two items. I have the Cricut Maker and I have been using metallic markers to color the backside of my foiled papers to create a shadow instead of having the white show through. So thank you thank you for bringing out the perfect pooled paper so I no longer have to do any more coloring! Creating with them makes my heart happy. I wish I could have all of it but if I can pick one item I like the double sided foil text bow paper. Simply beautiful!!! Love all of them!! Love the Mini 3D flower dies. Great for my garden photos or for baking pretty cards. Lovely! Double-sided foil text paper is my favorite. Can’t have enough paper & bows and can’t wait for May 7th! I am sO excited about 😊 the Perfect 3D bow dies and double sided foil text paper. OMG! Another must have. I love the bow and flower dies they are fantastic. Also the double sided foil paper is beautiful. Anna, your dbl. sided foil text paper looks beautiful. The Laurel dies look awesome! Plus your mini 3d flower dies are gorgeous! I just don’t know how you and your team keep up in the anti. Can’t wait to see you May 7th. Wow! What a beautiful assortment of new items! I love those mini 3D flower dies. The cards shown are so fresh and lovely!! Anna, I love the wedding toppers as well as the bow dies. Wonderful items as usual!!! Love the toile designs and the colors. The bow die and lighter weight papers are a perfect combo for card embellishments. I am so excited about the Wedding Card Toppers Kit. I love to make wedding cards. All of my friends who get the cards keep them forever. I hope to win. Have a sweet day. Everything is so beautiful and it’s so hard to pick a favorite. That being said, I have to say that the wedding card toppers are amazing! Thank you for the wonderful products you create and the creative inspiration you provide! I love the beautiful bows cutting dies. I am really happy that the come packaged with the text weight paper. I have always been intimidated to makes bows and this will make it so easy and beautiful. Thank you. Oh Anna how beautiful everything is…Of all the products you provided this morning, my favorite would be the Wedding card and embellishment kit. Simply stunning. Second, the Toile papers and then die cut package. We are going to make some spectacular paper crafting for our crafting it forward…. The Toile paper is amazing! Toile has always been my favorite pattern, I had window treatments in my previous home in a beautiful country scene toile. I wanted to bring them with me but they had to go with the home. :(. Your take on the pattern is, as we would expect, lovely and restrained in a beautiful way. Totally have to have them…and the bows too! I love it all but I really want the bow cutting dies and the double sided foil text paper! Love the laurel dies and the cardstock. Such or pretty colors. So many beautiful things. Have always been a big fan of Toile, and these are elegant. The bow dies are also exciting. The mini flower dies have been a favorite ever since I got mine and have made so many lovely cards using them..
Mmmm-mmm-mmm–that double-sided foil is YUMMY! what to create with? i love bows, minis, & dies; so i’d love to create w beautiful bows cutting dies & mini 3d flower dies. LOVING the Mini 3d flower dies and the beautiful bows! Keep them coming Anna! I meant to congratulate the happy winners today. Amy, Celeste, Debby, Wendy, Miriam, Marelda, Cindy, and Lillie, Congratulations to you each! Bet you are dancing the happy-dance! (and I had to re-watch the preview.) Fun! Oh, I cant WAIT to see the Wedding toppers! -and that Vellum! So many goodies – toile cardstock and embellishments, bow and laurel dies, and foil paper – it’s hard to land on just one product. Can’t want to see them on HSN! Anna, love all of your things. I’m home bound for 2 months due to blood clots, so I’m working on cards! Donna, I SO hope you get better quickly and those clots disappear forever! Hugs to you! I second the well wishes and you will be added to my prayer list. Follow your doctor’s instructions and just be patient. Before long you will be up and dancing about. Hello Anna, welcome back from Canada. What gorgeous Toile Paper set! Toile has been one of my favorite images even in my digital scrapbooks. I used it in the background for my nephews (twins) baby albums. It is simply versatile and classic. I would love to win the Toile Embellishments Set. The Wedding Collage Card Toppers are great as well. Bow making Dies are lovely, as well as the ‘text’ double-sided paper. You think of everything, and that is wonderful. Thanks for bringing back some of your Flower Die Set. I must have missed it on day it was presented. Thanks for your generosity in gifting these items to us. Love all the new products. Love the new paper and sentiments. Can’t wait for craft day. The toile collection is absolutely outstanding. The colors are so vibrant. Will make a spectacular addition to my Anna Griffin Collection. Will make beautiful easel cards. Every thing is so so pretty Anna !!!! I would love it all and can’t wait till May ! Clever bow dies would really adorn any card for any holiday. It is all beautiful & I love it all but I want the Laurel dies. Looking forward to May 7th. Oh my goodness, so many wonderful items to work with. Hard to pick just one item. Thanks for sharing all your comments. I love your bow die set. I am horrible at tying bows but I love the idea of using different papers to create bows. Also, the paper for the bows looks cool. If I had to pick a second I would pick the foil papers. They are all so beautiful. You guys did an awesome job. Such beautiful things. Decisions, decisions. I would love to use the beautiful bow cutting dies and the double-sided foil text paper or (any of your paper) to create beautiful bows for the Anna Griffin cards I share with friends and family. Love everything in the release, but can’t have it all! I love it all! The toile paper is gorgeous, the foil text paper colors are stunning, and the laurel dies and flower dies are awesome! Decisions, decisions. Hi Anna! I love the die sets. I already have the mini flowers, but would love to incorporate the bow or Laurel dies into my library. Keep up the great job of ideas and actual products to make our masterpieces at home!!! I love the Mini 3D Flower Dies! They look like they’ll be the perfect size for what I need; a lot of the premade ones are larger than I would like. Also, the Toile Emblishment Kit looked nice…Then I caught sight of the framed cat, and now I need to own a set. Hope I can win one of these! But if not, I’ll be ordering them. I absolutely love the toile papers and embellishments. My home is full of various toile designs. I am excited about the Mini 3D Flower Dies. The flowers will make my scrapbook layouts pop. I love everything, your products are so elegant. Love the bow dies. Everything is beautiful and to select one would be the mini 3D dies. Thank you Anna. OOOOH those beautiful bow dies are just perfect to adorn all of my cards with those text weight double sided papers!! I am sooo excited and can hardly wait to order and use them to decorate with special bows!! Thank YOU Anna and team!! It’s hard to pick out what I am most excited about because everything you do is beautiful. If I had to pick one or two it would be the bow dyes, papers and 3D flowers. Hard to choose. I’m looking forward to the toile paper set. I have toile fabric and I often wish I had those designs on paper, too, and now my wish has come true. Thanks, Anna! I am loving the Foil Text paper and the 3D flowers. My husband was recently in the hospital for a surgery and I sent the doctors, nurses and post operation nursing staff cards and I know they will appreciate our thanks by sending a homemade card. Thank you Anna for the beautiful things you create to help us make so many beautiful cards, scrapbook pages and so many other things. As all are beautiful! My favorite is the bows & paper for the bows. Love the mini 3D flower dies, I missed getting them the first time around. 3D flowers, I love working tiny. I have to tell you the Toile brought me back to my piano teachers wallpaper, I love it! She would let me make fudge and pralines when I was overwhelmed with my piece. She taught me to relax by cooking, something I still do today. Your beautiful work always brings me back to fond childhood memories. I love the Toile paper, it is just fabulous. I can’t wait for May 7th. The Laurel dies are on my wish list this time. I’m using up lots of my AG kits, so I need to replenish parts and pieces now along with new embellishments. Looking forward to watching HSN on May 7th. Love the bow dies. I always add a bow to my cards. Also the double sided paper to create the bows is a great idea. I need one of each of the new products!!! I have always loved Toile! It is beautiful!!! I am blown away with the new bow dies and papers! Anyone would be lucky to win any of these products! You DO think of everything! Thanks Sweetheart! The things I would like to add to my stash are the bows and papers for the bows. Somewhere I have read. ” When in doubt put a bow on it!” I love putting bows on my cards. Looking forward to “Tutorial Tuesday”! Oh my the flower dies are my favorite. Thanks for all you do. OMG. My guest bedroom and downstairs bathroom have been decorated in black toile for I don’t want to say how long. I am happy to see they are “back in style”! Must have that paper selection to go with it. Am thinking the paints of yours I bought and some of that paper would be great to redecorate some trays I have that could go in there. I am supper excited about the Wedding Toppers. It is so hard to find embellishments for wedding cards. My number two choice is the Double-sided Foil Paper. This will make my bows so much prettier. I love the laurel die set to finish a card off! Then you can add the bows or flowers to embellish nicely! You make me a better card maker because of your die sets! This week I love the bows. Bows are a thorn in my side and these variations will look so good on my cards. The foil text weight paper is genius. I can think of many uses for that! Lots of lovely goodies… am especially looking forward to the new bow dies and two sided foil papers, a great addition to any crafty stash! The toile sets are beautiful! I also love the bow ties and text weight paper. The Wedding Card topper kit is so special. What a beautiful way to honor someone’s wedding day. Love, love love the toilet paper and embellishments, can’t wait to order. I have a few but the blue is just gorgeous and the matching pieces…..so pretty! Nothing is as beautiful as the toile card stock and embellishments. It’s like a beautiful time in history brought back to life. I would love to win the “Double-sided Foil Text Paper”. It is BEAUTIFUL! It would look beautiful with so many of my Anna Griffin Dies!!! Another win Anna – love the Foil Text Paper and Beautiful Bows Dies – I can definitely put these to great use. Always enjoy your “what’s coming soon on HSN” – keeping us in the know as always. Everything is just beautiful. The Toile Cardstock, Toile Embellishments are just great. Very delicate. Will make some beautiful scrapbook pages and cards. The Wedding Card Toppers is also wonderful. These will be so much fun for the upcoming wedding season. Dies to die for. Wonderful fun!! I like bows and your bow dies are just the thing! I also like the colored foil paper – just right for folding the bows. So beautiful! My daughter just got engaged this weekend and of course card was made out of Anna Griifin card kits! Im looking forward on this kit! I love that you are bringing back the floral dies,, someone last week was asking about those,,this will make her happy. You are so intuitive that way. For me, I would love the opportunity to use the new Beautiful bow dies and papers. They would look good not only on cards, but on other home décor items. Looking forward to Mays HSN shows. I really enjoy working with your product and have been for many years but you never have people of color when you do your products, you only cater to one race. There’s lots of people of color that use your product. I would have loved to use the new embellishments with the Brides but that means I have to color in all the faces and it doesn’t come out looking the same. Like on the paper doll set, same thing. I am glad you are bring back the mini flower dies. I have always loved them and the presentations of the flowers. I would love to have this because of all the Beautiful flowers I can make for my cards. Oh my gosh Anna thank you for the toile paper I love it and the embellishments are perfect. The Laurel Dies are gorgeous! I would love to have these, however, I love everything you’ve shown! Greetings to my Favorite Designer on EARTH! Wow, Anna! These are just Fabulous! I mean EVERYTHING! ha! OK. My FAVORITE? The double-sided foiled paper! Because if it can be done with paper weight, it can hopefully be done with CARDSTOCK-weight! And I want both weights, of course. Can you imagine the shaker cards’ confetti? No white, just glam! And the Penny Bows! LOVE those dies! OK, I love all of it. The toile, the Wedding layers! Oh, yes! The toile papers will be perfect for the scene-cards, -well, for much more, too. I am thrilled! Very excited for the Toile Cardstock, Toile Embellishment Kit and the Double-sided Text Papers. All are so beautiful and things I want to work with on my creations. The Wedding Card Topper Kit is wonderful !!! Thanks for all the GREAT new products !!! Just what we all need, these are great – can’t wait to purchase and use…. I love the text weight papers, but hope you’ll do them in larger size as well. Glad to see the wedding embellishments too. Love, love the wedding ephemera and the toile papers! Hi Anna, I love everything. The beautiful bow dies I love the best. All the wedding things are beautiful, just beautiful. Thank you for all the wonderful products. May is truly going to be beautiful in the making ! The double sided, lighter weight foil paper is just wonderful, and on my absolutely got to have list !! Thank you for not only the two sided, but the lighter weight paper is going to make things so much easier !! Hi Anna…everything is beautiful!!! I love the bow die!!! What a beautiful die to add to all of my dies that you’ve made for us!!! Please don’t stop using your gift to inspire us to great crafting!!! Love all the dies. Can’t wait for May 7th. MUST. HAVE. TOILE. I love toile, and have it all through my house, but Anna has created papers and embellishments that resemble the finest in French design. Anna’s designs are sophisticated and elegant and unlike anything on the market. If I have ever won anything, please let it be the toile paper and embellishments! Oh Anna! I absolutely love everything you have shared with us today. But my favorite, and what I must have are the bow dies and the double sided text paper to make those beautiful bows. Thank you so much for bringing this to us! As usual the dies are my favorite things, especially the bow does. But, as usual it’s all great stuff. I liked the papers for the bow dies too. I cannot choose I love everything , I am into die cut so I am happy to see the die cuts. Love the 3D mini flowers, would love to have them. I also love the laurel die’s. Can’t wait for the show. The laurel dies are fantastic, and the mini 3D flower dies are a must have! Everything is beautiful as always! Hello, thank you so much for bringing the toile papers!! About 30 years ago I had linens with this print, and I was using them till they fell apart. I so love this kind of art. Your sentiments going with it are awesome. My fave is the Beautiful Bow Dies and he Double Sided Foil Text Paper to make the bows. Thanks for this 2nd Preview for May 7th. I love the dies to make the ribbons, I often use ribbon on a card and always wish I could make them as perfect as you do. I never miss you on HSN, I have so many of your wonderful products and love using them to make others smile. The toile reminds me of some of your original papers, Anna. Your distinctive style got me hooked way, way back!!! Love them and really love the dies because you don’t have to keep piecing individual petals (LAZY) haha. Thank you for making beautiful things for us to use. I love the wedding toppers and the foil text weight paper and the Laurel Dies. Looking forward to May 7th, May is my birth month so I really need to get me something extra special for my great collection of your items. I love all of the new die sets, they will add so much more that I can do with my Empress! Hi Anna. I’m excited about all these items. I love that the 3D Mini Flowers are coming back. I just love them and I missed them last time. I also love the toile papers. I make totes and toile fabric is one of my favorites. I will love these papers and embellishments!! Looking forward to the seventh!! Great line-up! I’m especially loving the Beautiful Bow Dies and the text weight foil paper. Those will make such pretty bows! Hi Anna! I always look forward to your reviews of your beautiful products. I LOVE the Double Sided Foil Text paper & the Laurel dies. They are beautiful! I am excited about the Toile papers! How wonderful! Toile has always drawn me in. I didn’t know the fashion this year embraced these dreamy designs. So good to know. I believe the Toile really tells a story and those stories can really be about the people we know and are sending cards. The depictions of families and children under graceful trees is lovely. Thanks for bringing the classic Toile designs to us in such a usable way. The Toile embellishments and die cuts look great too. I love the toile paper. What a great idea, I use toile in my house. My sunroom curtains are black and white toile. One of my favorite patterns. Thank you for doing this group of paper. Also the dies for the bows are a much needed product. Thank you! Once again, beautiful die cuts for beautiful cards! I know I love your bow and laurel leaf dies. Those beautiful foil papers are a must. I would love to have the Laurel dies or the Toile Embellishment kit and papers they are just so beautiful. Everything is just so wonderful as usual! 🌸Mini 3D Flower Dies are just what I need to put the final touch on my creations ! 🌼Thank you for the chance to win them! My oh My!!! How do you choose? I love the toile, I love the bow, I love everything. I have some of your papers from the beginning, I Just would be happy with anyone of them. Absolutely love all the Toile! Also the bow dies are perfect for so many projects as are the embellishments!!!!! Thanks for all the new things. Love it all but I’m most excited about ….the wedding card toppers kit & double sided foil text paper and of course the Toile cardstock! Such a tempting lineup of products again….love it! I love TOILE everything. I just collected some more toile dishes made in England. Anna, how about some more hatboxes (with more depth…dividers not necessary) in your Toile Card Stock prints which I need and adore. I store a lot of your products in tiers of matching or coordinating hatboxes all over my house (no actual craft room …yet). I also like the Toile Embellishment Kit a lot. Love the cat. In third place but so appreciated is the Wedding Card Toppers Kit. I know that the May show will be a winner! More dies to die for…the Beautiful Bows and the Foil text paper are on my list for sure. i suppose if i have to pick just one, it would be the bow dies. But i love each and every one of the different sets. Love the new items and also a chance to purchase items I did not get last year! I really like the Bows Cutting Dies and the Laurel Dies. The Double Sided Foil Paper is also lovely. OMG!!! Two of my favorites – flower dies and toile!!! I’m drooling! The laurel dies are a fabulous finishing touch. Makes the cards look so regal. Oh my goodness! The Toile Papers and French Die Cuts have my name all over them! Reminds me of the time we moved to Fontainebleau, France and my Toile room at the hotel we stayed at was right next door to Napoleon’s Chateau. Me too, they are so lovely….did you stay at the Hotel de L’Aigle Noir…(the Black Eagle)? we stayed there last summer and our rooms were toile..hope we get these in the UK. Love the Laurel Dies! Can’t wait to get them. Thanks for the chance to win them, Anna! The toile embellishments and paper are stunning! I am all about the Americana look and you have captured it beautifully! I love everything as always. My absolute favorite though are those beautify 3-D flower dies and that amazing bow die. Thanks for continuing to bring us such beautiful products Anna!!! There are so many gorgeous things to chose from to make a card look fantastic. You can take a nothing, boring day and turn it into a spectacular fun filled experience that everyone loves to look at and receive. Melissa’s great aunt received her Easter card and said that everyone is always commenting about the beauty. Keep bringing new surprises to us. Thank you Anna, everything is so beautiful! I love the laurel Dies and the foil paper especially! Actually I would love to win any of these beautiful items! Thank you for the opportunity! Love the toilet paper and embellishments. It will make great projects. Wow! I can’t wait to combine the text weight foil paper with the flower dies to create something beautiful! Anna does it again! I love the mini 3D flower dies. They Really awesome. I love the Toile papers and embellishments. They are beautiful. I believe they would come together to make a wonderful scrapbook of grandparents and great grandparents. A definite keepsake and treasure. The toile cards and embellishments are absolutely beautiful! Cannot wait until May 7 to create some new masterpieces! You never cease to amaze, Anna! I’ve got to add the double sided foil paper to my paper collection. I also like the Toile paper collection. Your papers are of such high quality and cut perfectly. Oh my! I got so wound up in the toile I forgot to tell you that the Wedding Card Toppers Kit is my next favorite. Wonderful for the approaching wedding season and a also for anniversary cards. Plus they will mix well with the Toile! I am just so happy for the toile I am bouncing in my seat! Wow so many lovely things! I do love the toile, always have! But that wedding toppers set is right on time for me, as I have SO many weddings this coming summer and fall! These would be perfect to make special cards! Can’t wait for this show. Thanks Anna and team! I can’t wait for the text weight double-sided foil papers. They will make many beautiful things! Yes, please. I love the bow dies and papers. I also love the laurel dies. I don’t have those in my stash. Beautiful! Beautiful! The toile paper and toile embellishments are beautiful. You really can’t have one, without the other. Matches my curtains. Again, thank you for helping us to be so creative. You are amazing! Excited to see the Toile in both cardstock and embellishments. The choice of sizes in the cardstock plus the choice of the 3 colors makes this set perfect. Anna, Anna, Anna – I love you for bring the Toile back! I LOVE THE TOILE CARDSTOCK AND TOPPERS! Even if I don’t win, I will order multiples of this product because I will want more than 3 of each design, I just know it! I hope you will also have available the text weight in the toile…. Dare I say it again? I LOVE THE TOILE! I really like the paper for they bows. They are beautiful colors which means I also love the bow dies. They will really make it easy to embellish my creations. Omg! I’ve got to get those beautiful bow dies! I can hardly wait! Thanks Anna!!! Love, love, love the toile and flower makers. The bow die is also really nice as is the wedding set. Oy!! so many choices. My poor wallet. The colors of the papers are gorgeous. I love the toile paper and toppers as well as the bow dies. Wait, I just love everything Anna Griffin! Glad to see the laurel dies back. I missed out on those before. I have loved toile for a long time. I’ve had bedspreads, curtains, upholstery over the years. So, that paper!!!! Love, love, love! My favorite is the Foil Text Weight Papers. These will make gorgeous flowers as well as the bows. I think they will be pliable to making the flowers realistic. I love all the products today just the foil papers stand out. I love the new toile paper and embellishments. So beautiful! Love the Double-Sided Foil Text Paper! Love that laurel die. Swoon. OH ANNA, you have done it again!!! I have always loved toile, in fact I have a few sheets of a “barn red” toile you did years ago… it coordinated with another print that I think has a very Fall seasonal palette… I just can’t seem to bring myself to use it, so it’s saved for something very special! I can’t wait to have this new toile set and also the pretty bow dies!! !